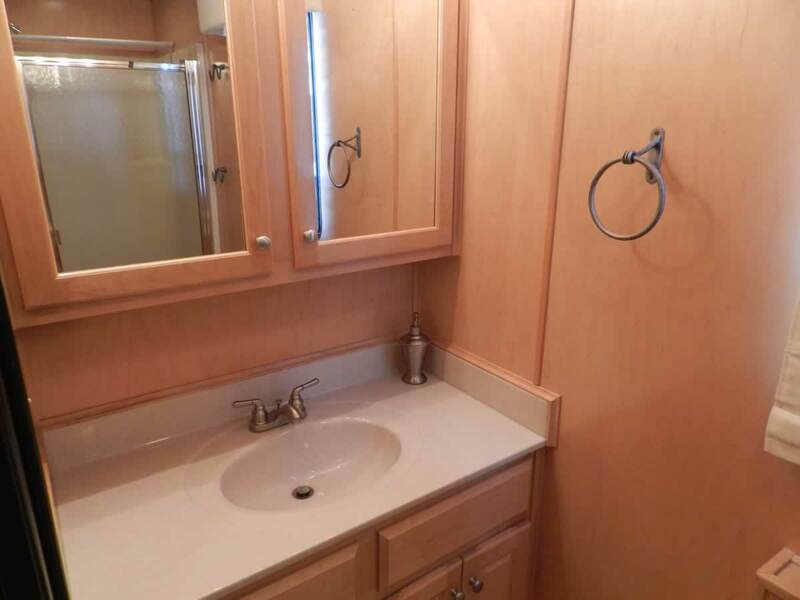 Click images to view larger image. 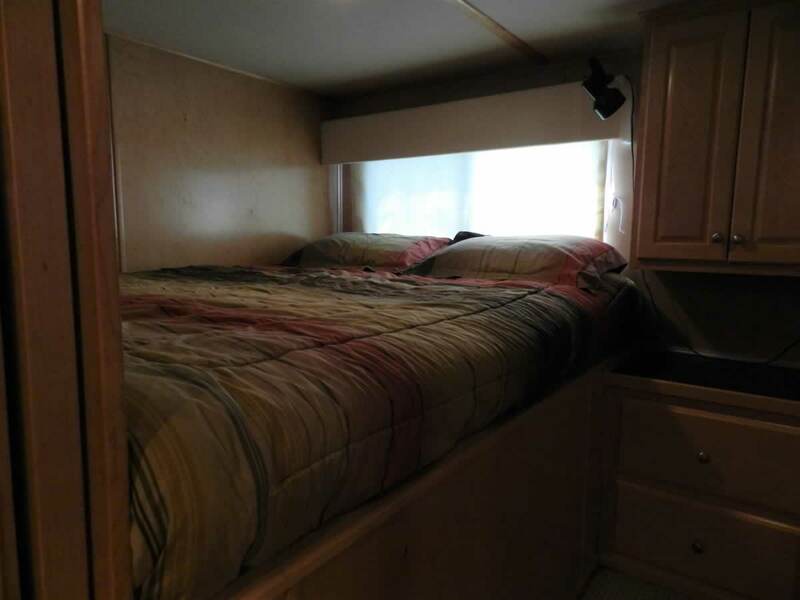 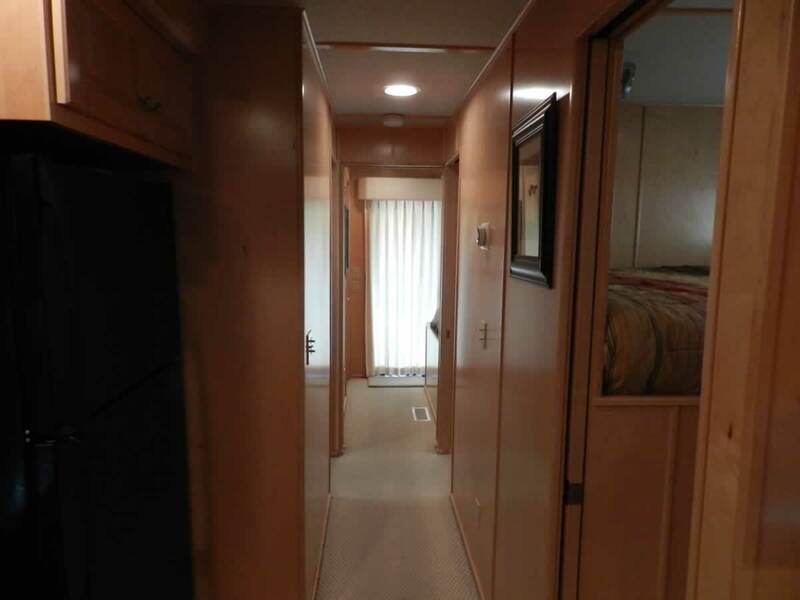 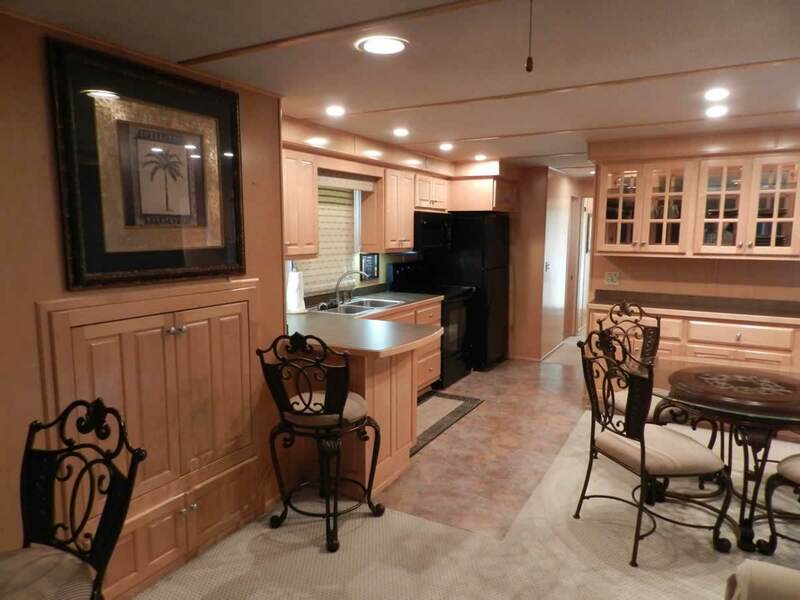 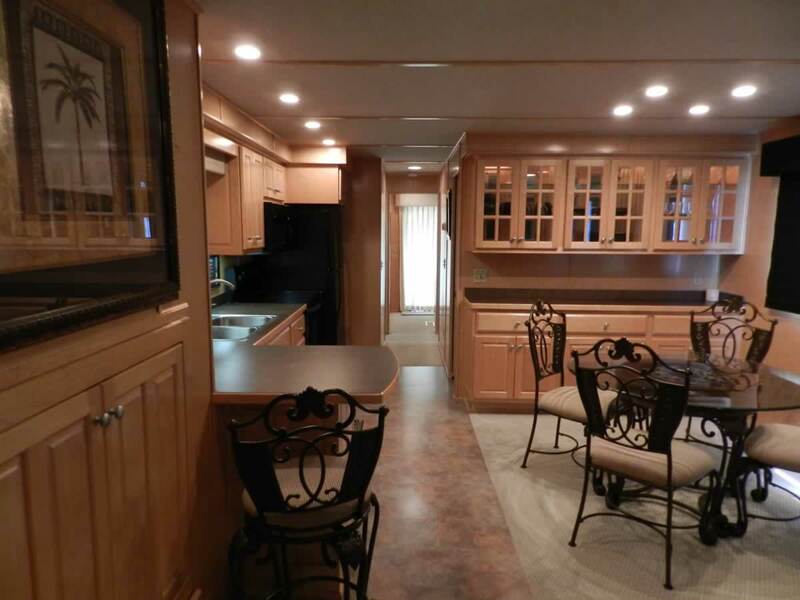 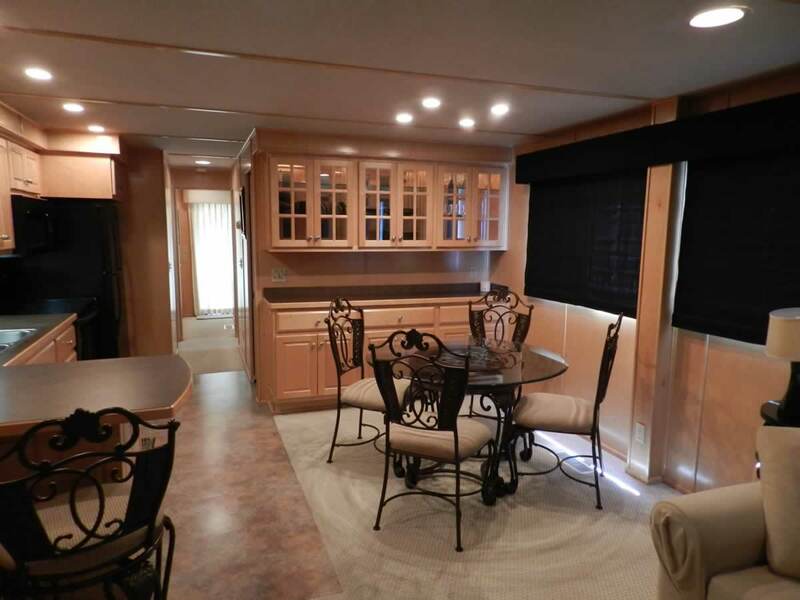 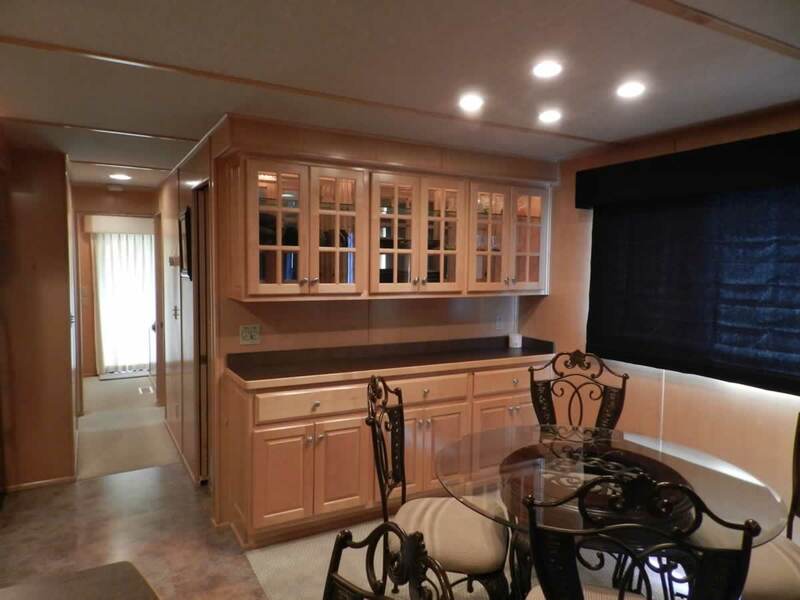 You don’t want to miss this 2003 14’ x 58’ beauty. 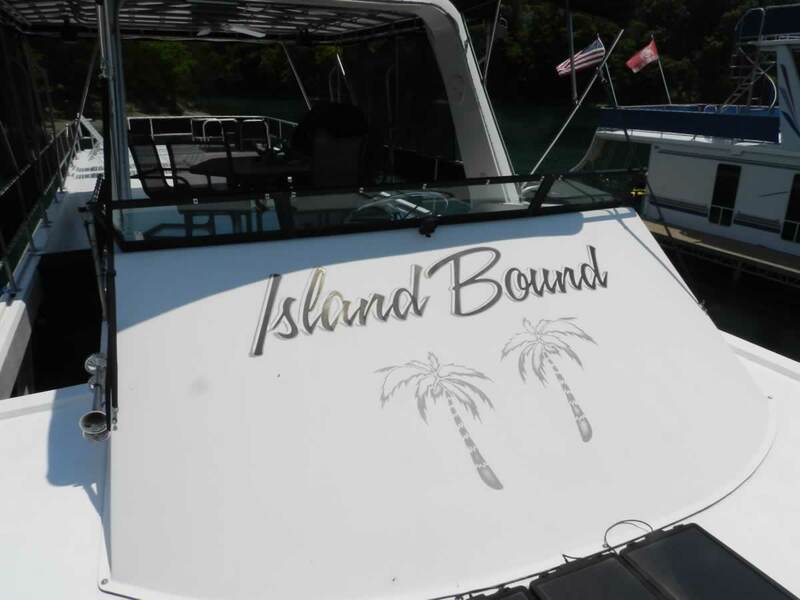 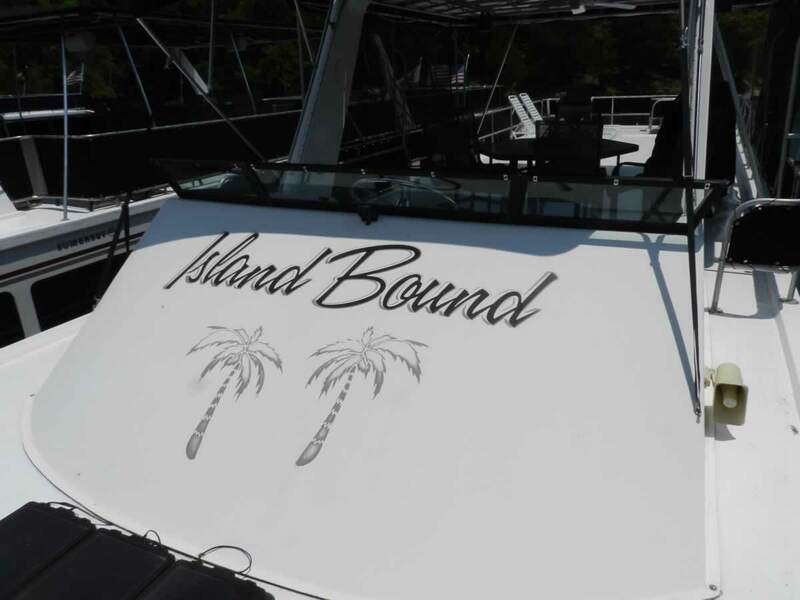 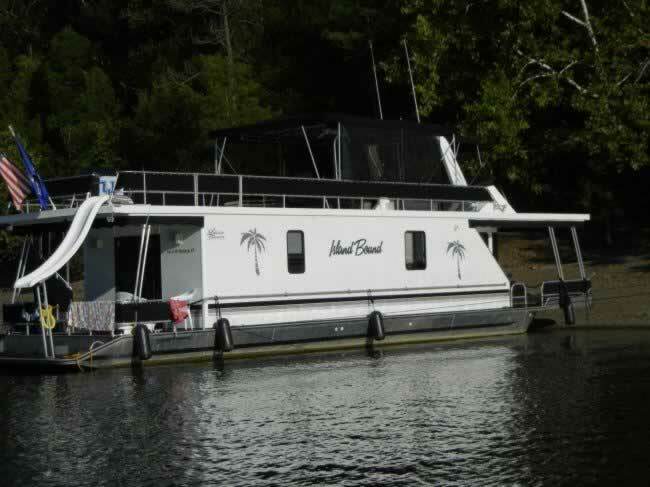 Island Bound is a great boat for the entire family and is ready to use. 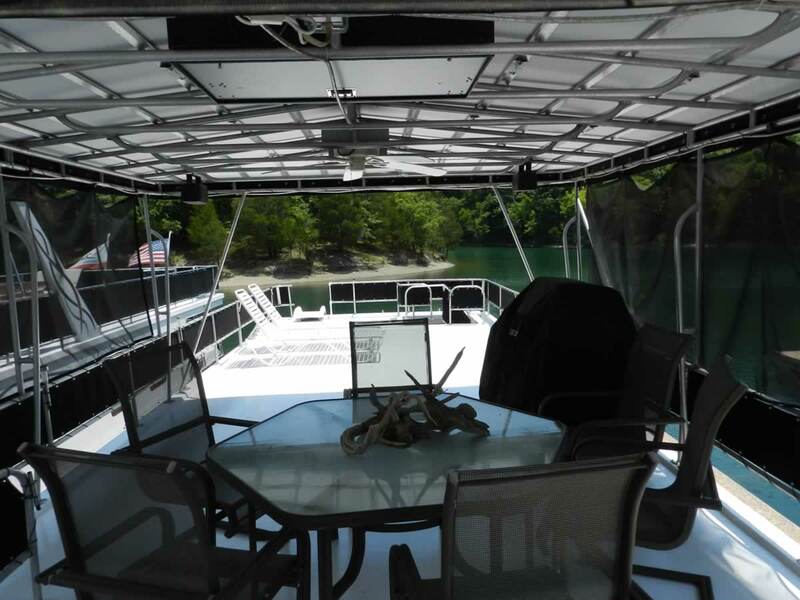 Come aboard and get ready to relax. 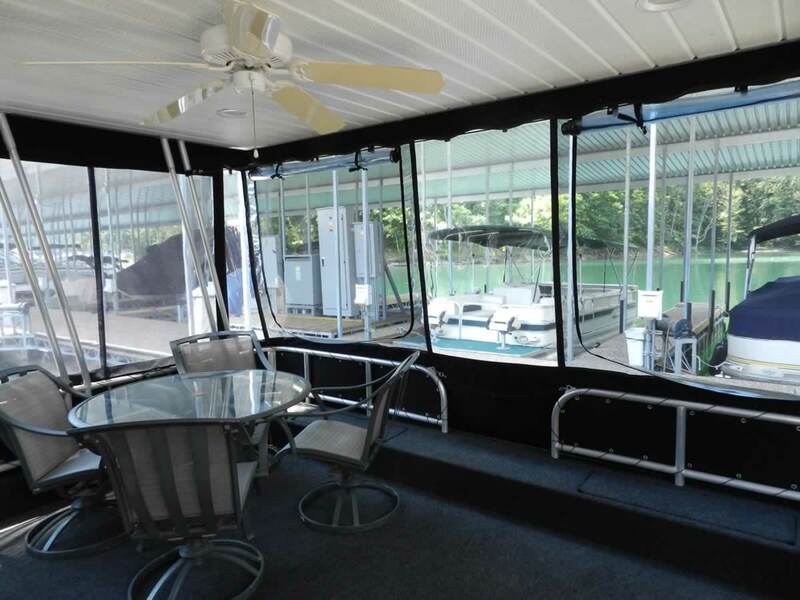 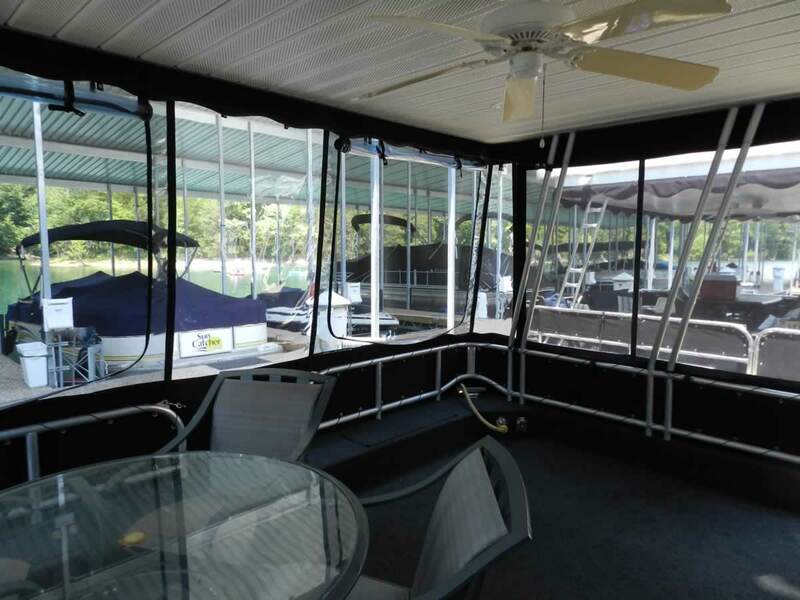 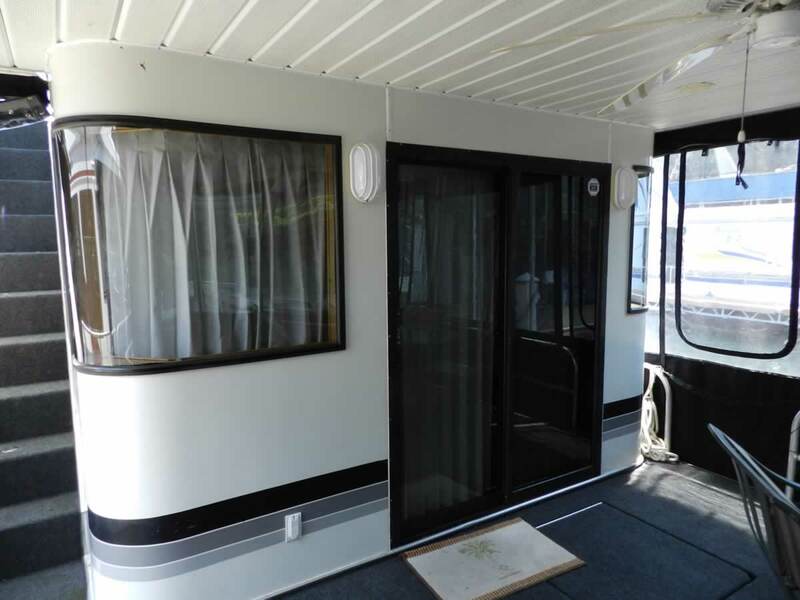 The front deck is roomy and includes a table with seating for 4 and full enclosure with u-zip windows. 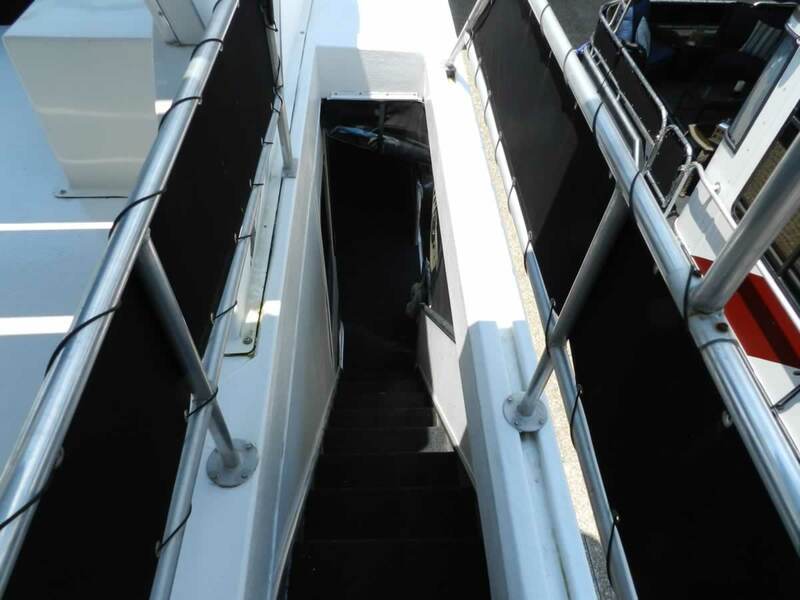 There’s a hatch giving access to a large storage area under the deck. 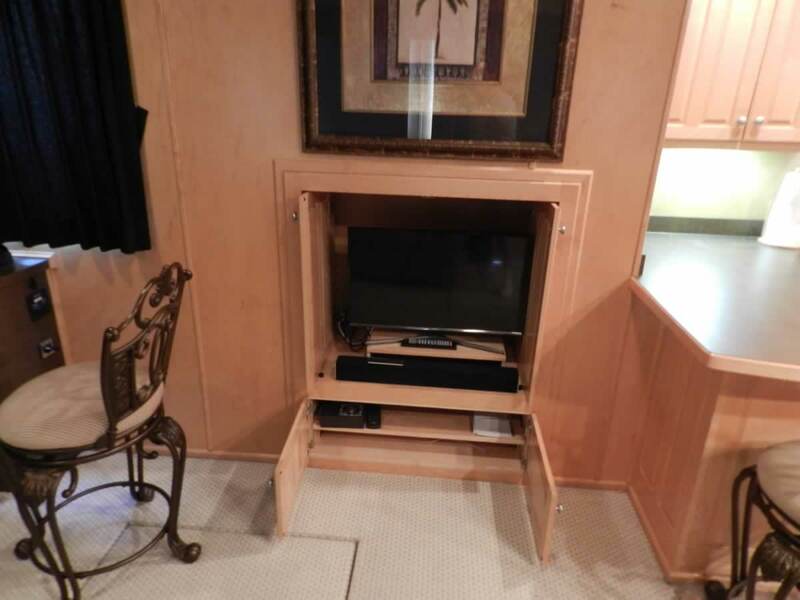 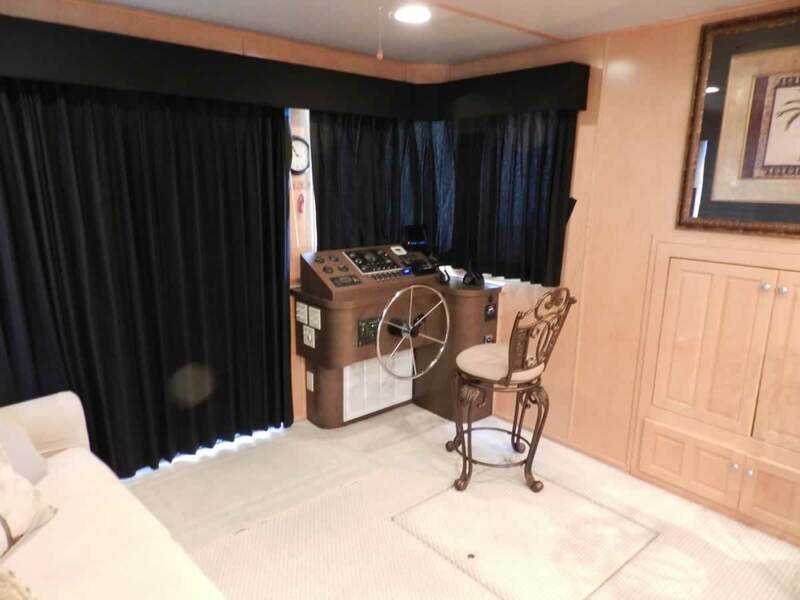 Enter the salon via a sliding glass door to find a queen sleeper sofa to port and entertainment center starboard. 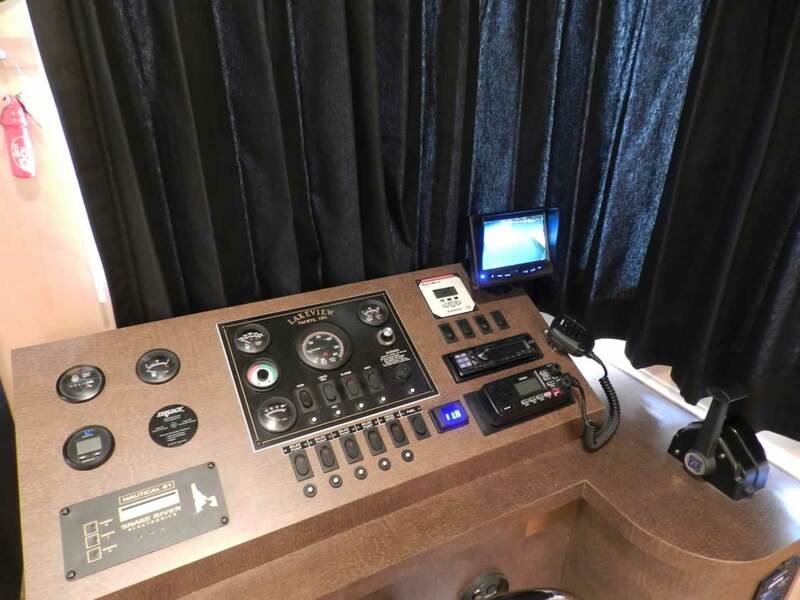 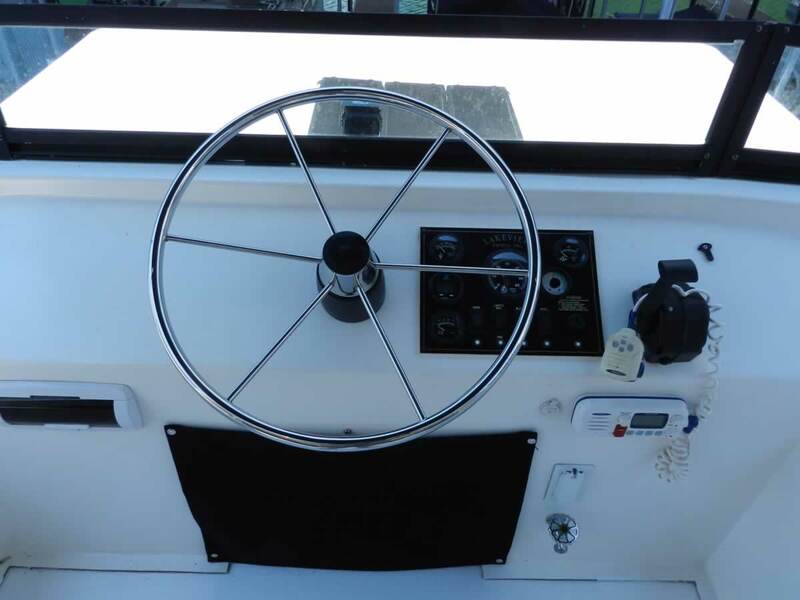 On the starboard side is also the lower helm. 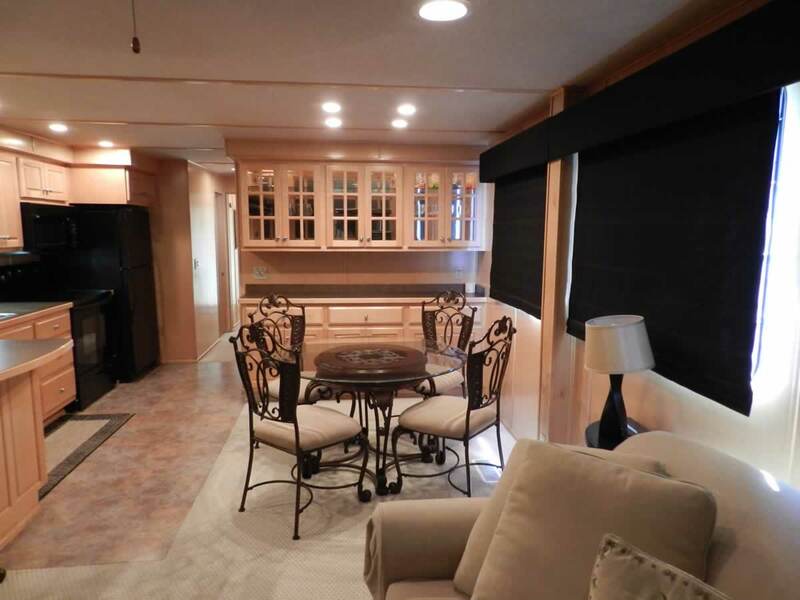 This is the perfect space to relax watch TV or enjoy an evening with the entire family. 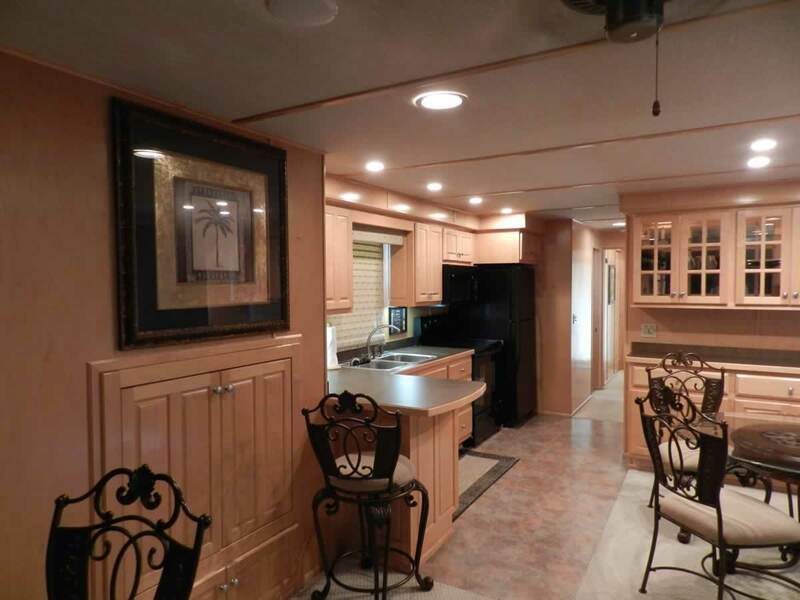 Moving aft from the salon is the galley and dining area. 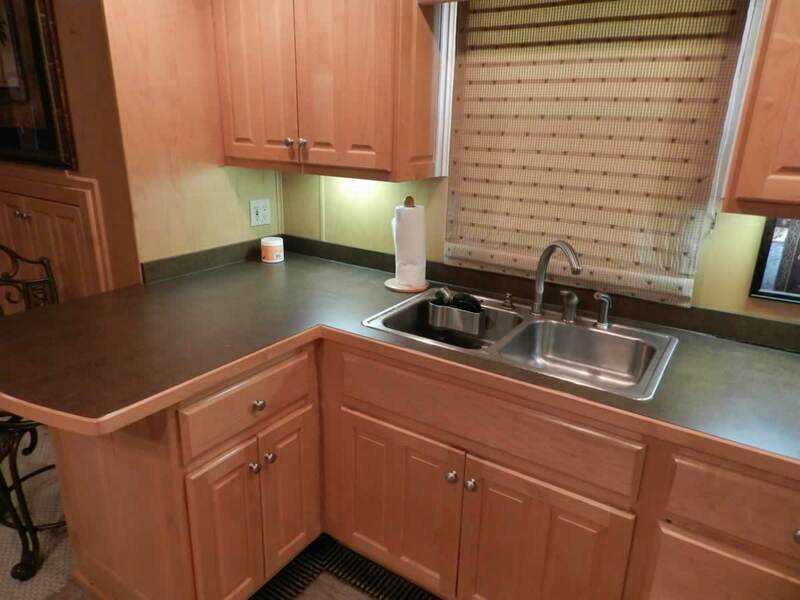 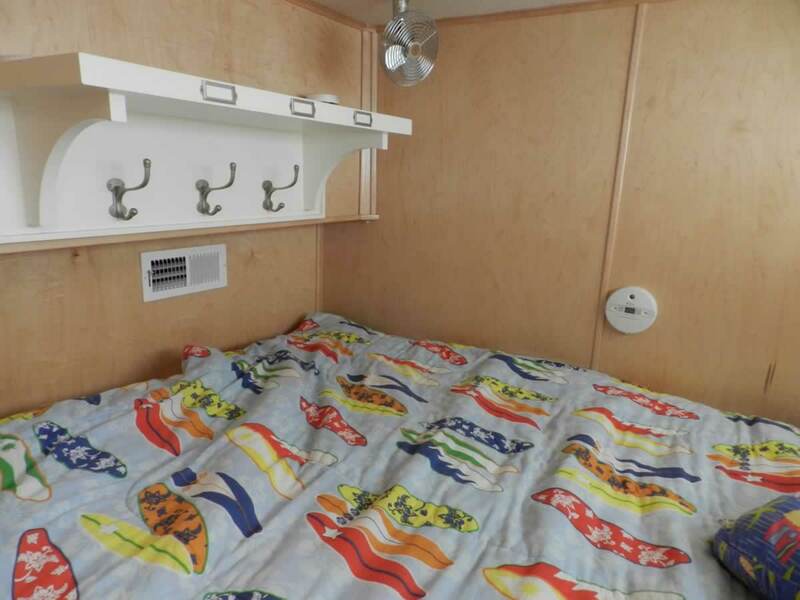 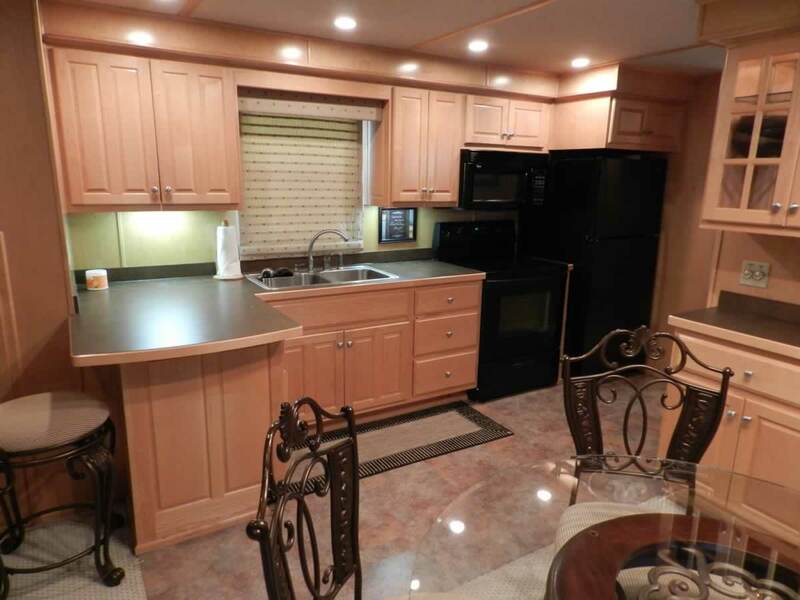 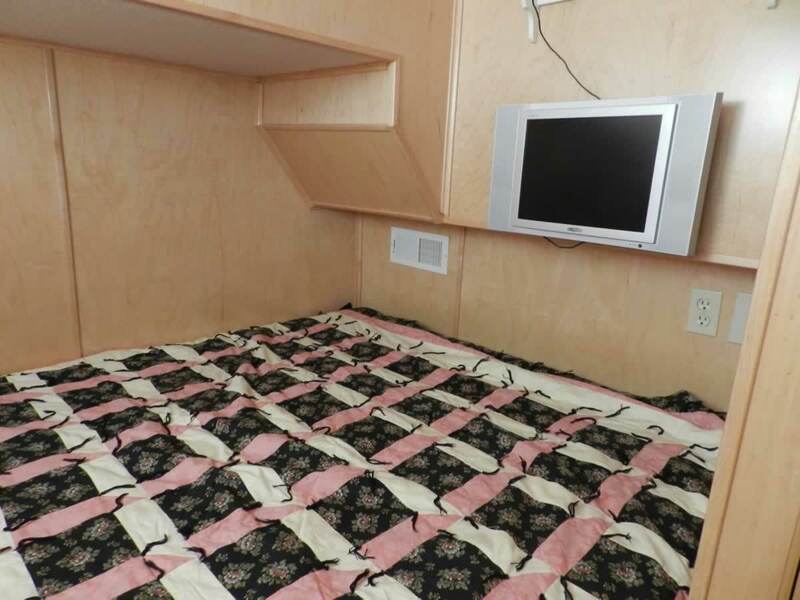 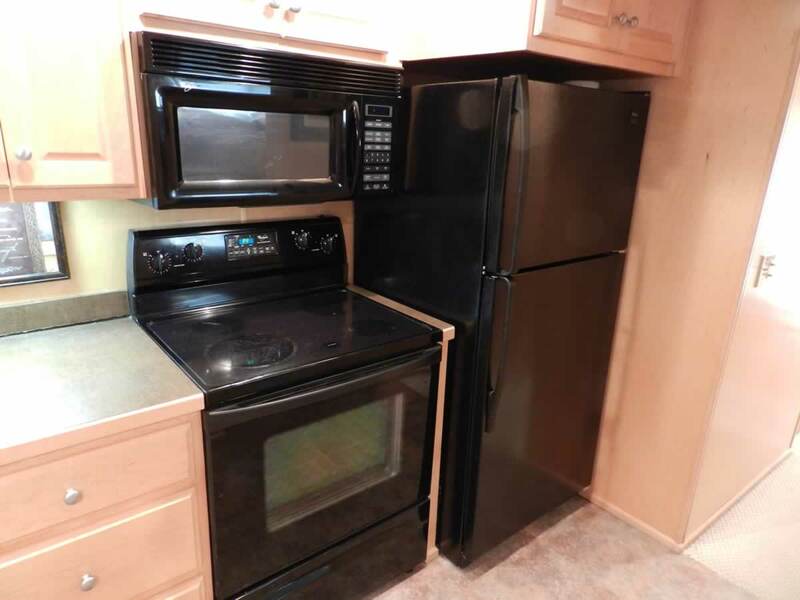 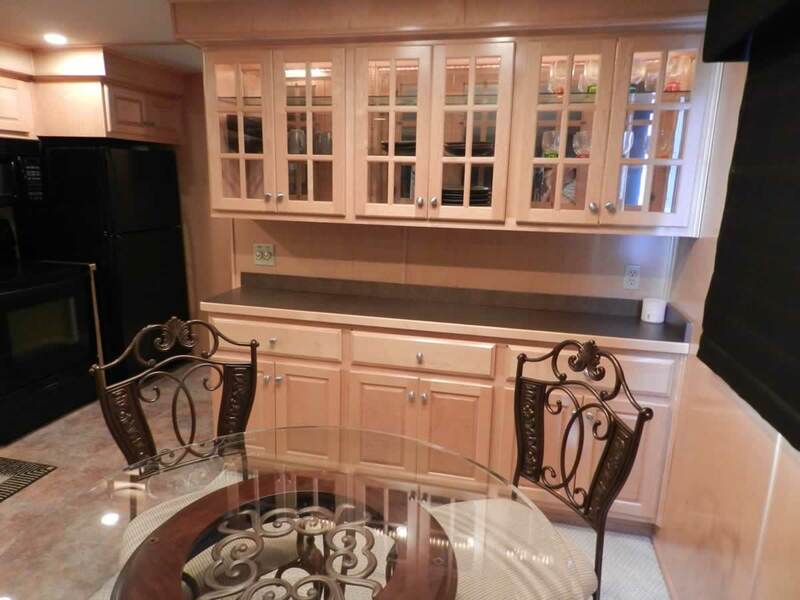 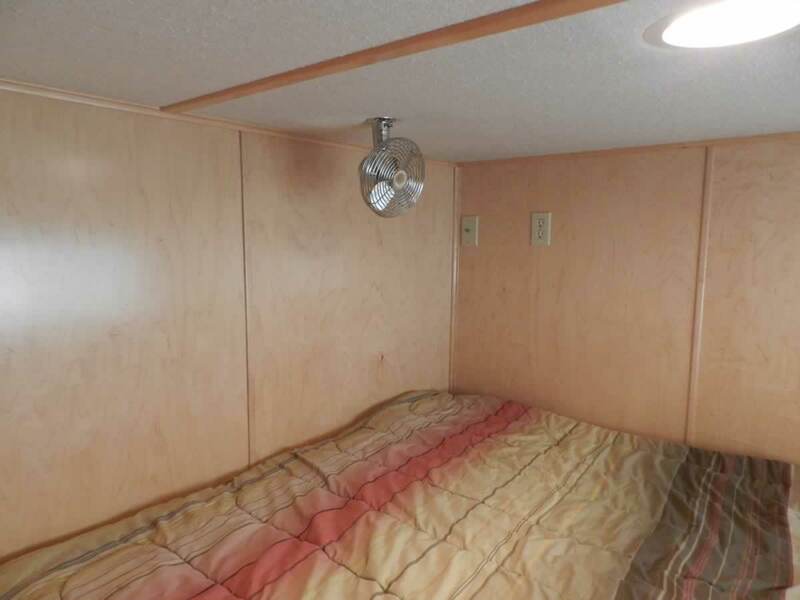 Galley features include a refrigerator with ice maker, a smooth top range, and built in microwave. 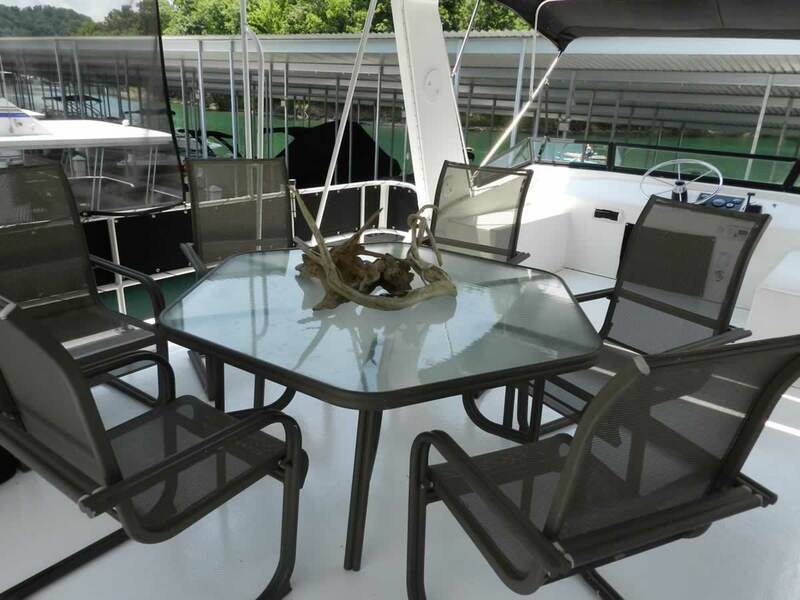 There is a bar with seating for 2 to port and to starboard is a dining table with seating for 4. 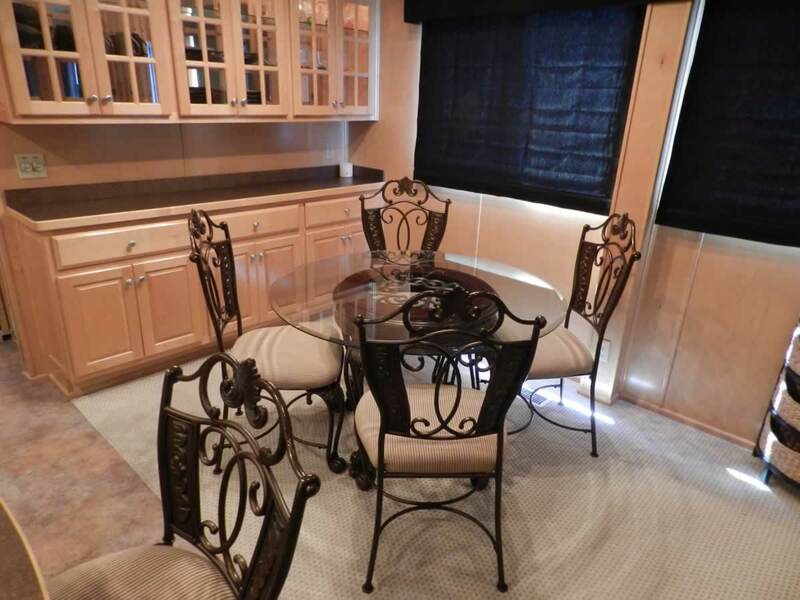 Aft of the dining table is a buffet bar with under counter storage and storage with glass doors above the bar. 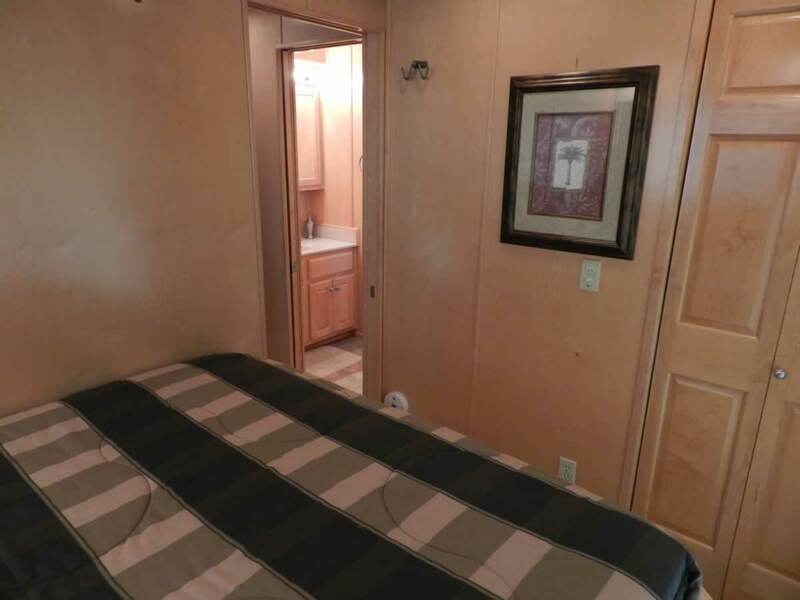 Move down the hall and to port is the VIP stateroom which includes a full size bed with nightstand and TV. 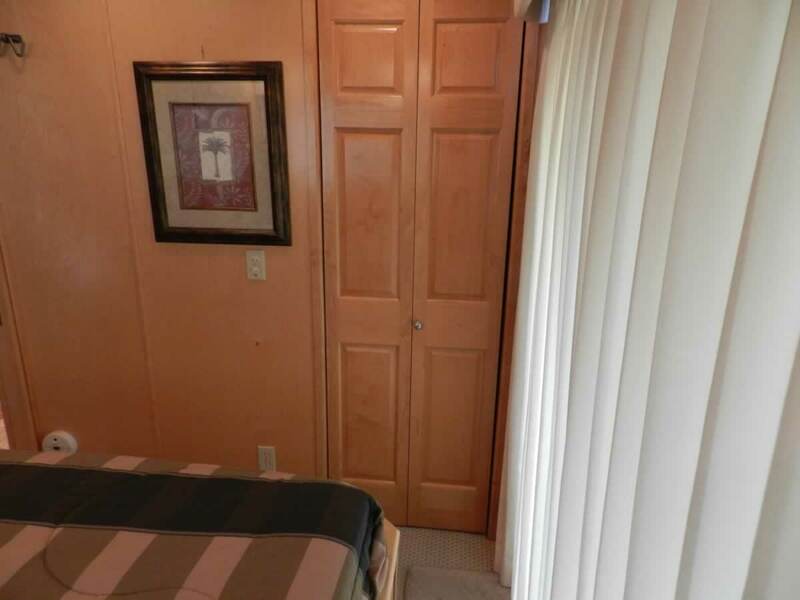 Across the hall is the full bath. 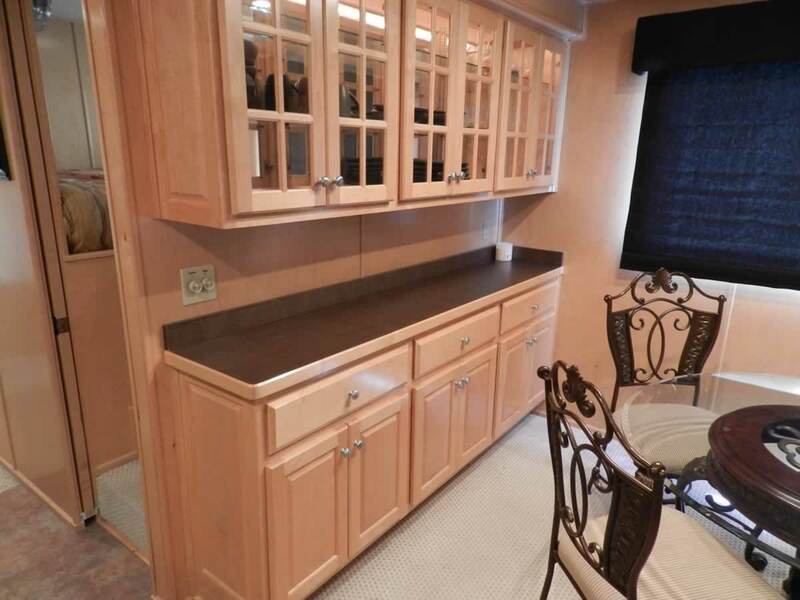 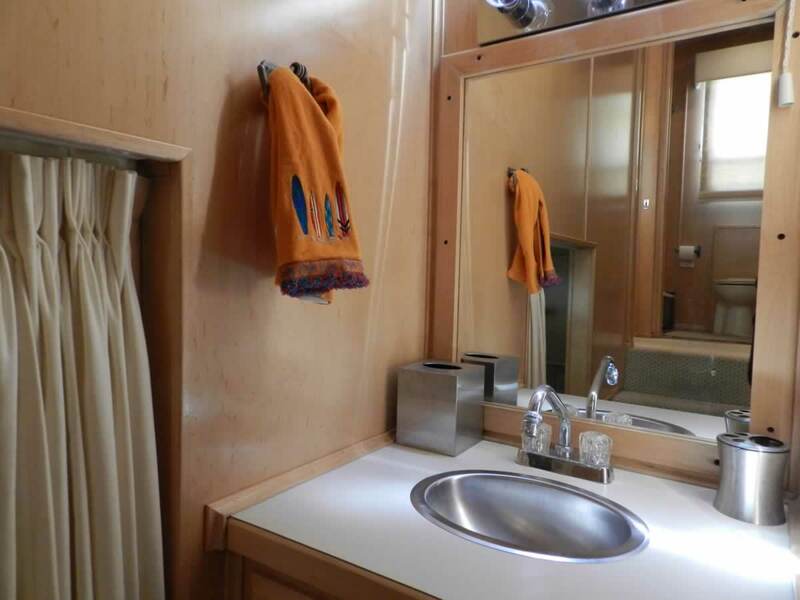 Features include a Raritan Atlantis head, vanity with lighted mirror and a full size shower. 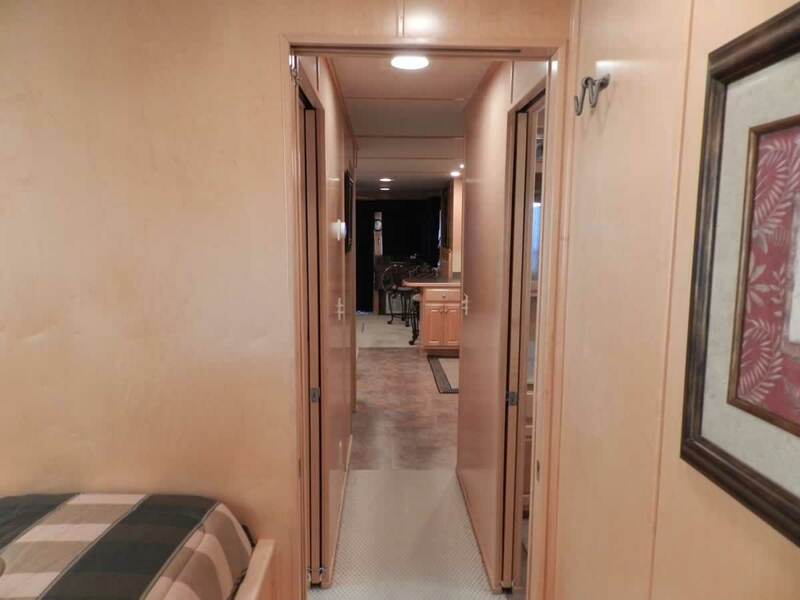 On down the hall just aft of this area and to port is 2 full size cuddies. 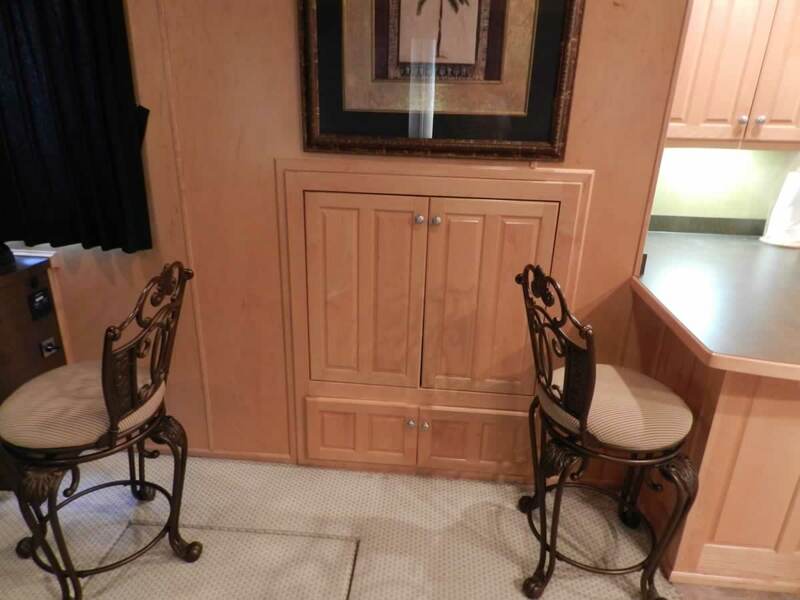 Room for guests or extra storage. 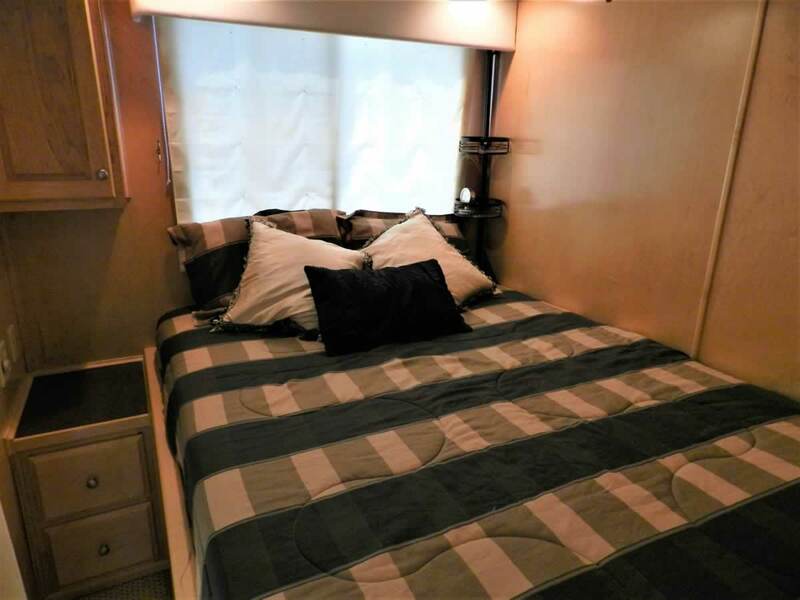 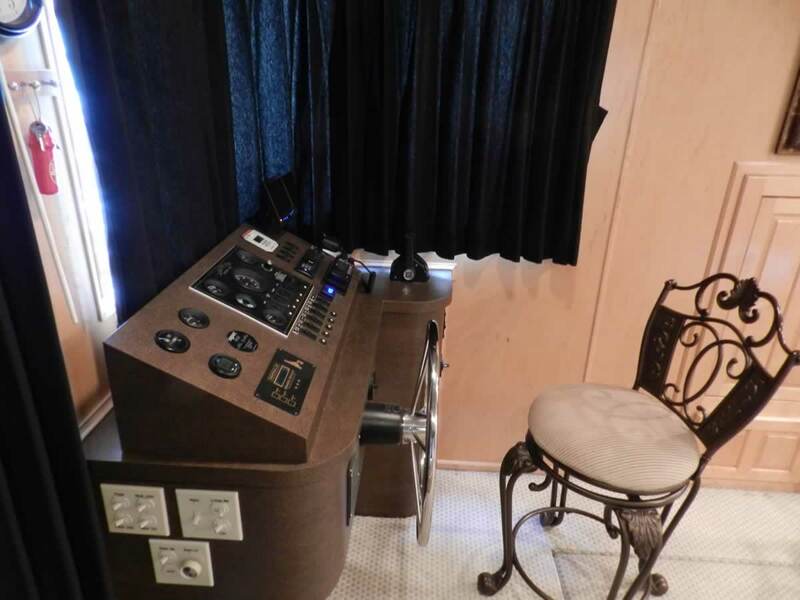 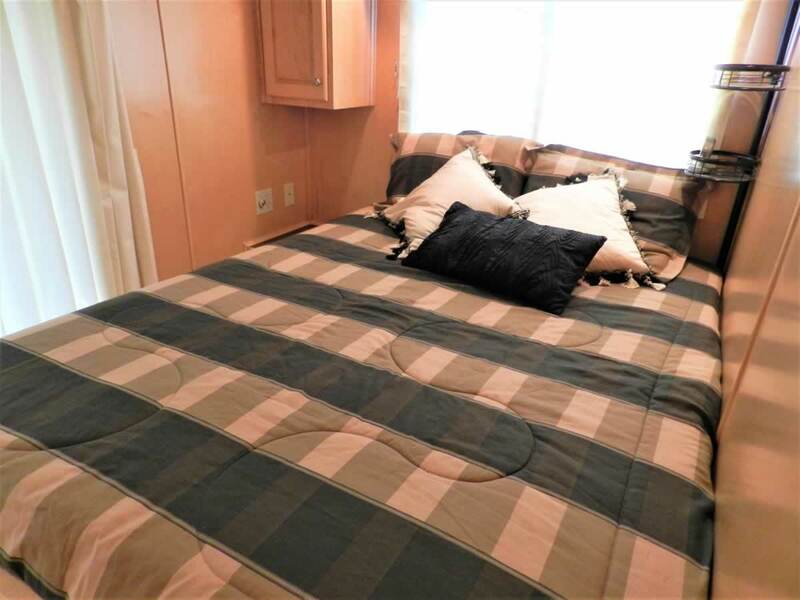 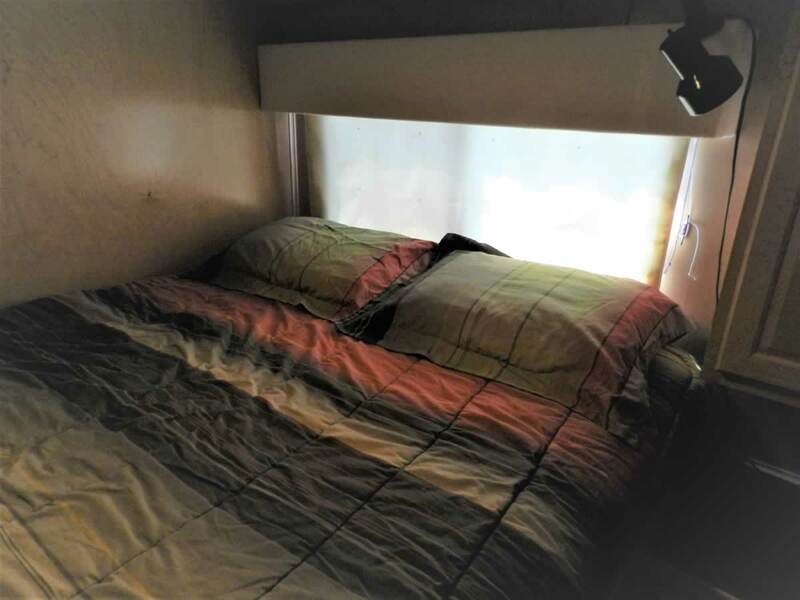 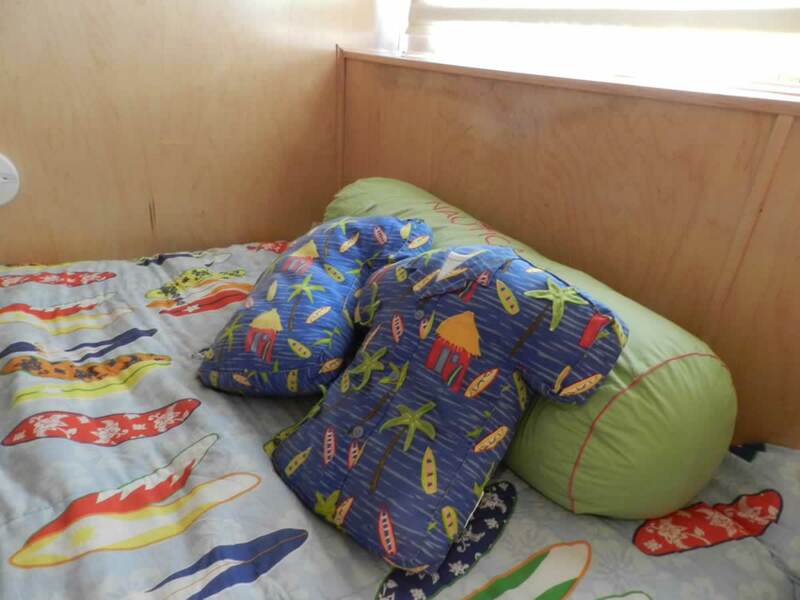 The master stateroom is located to the stern. 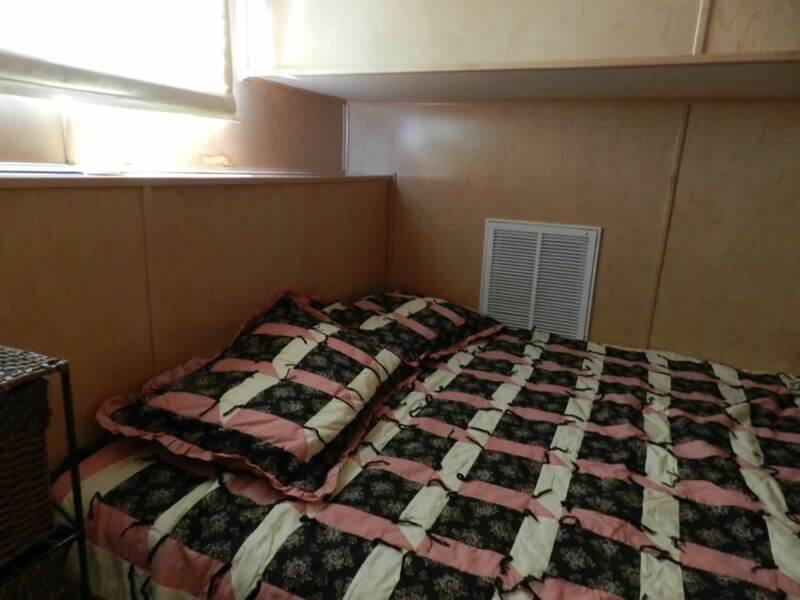 The master stateroom features and queen bed. 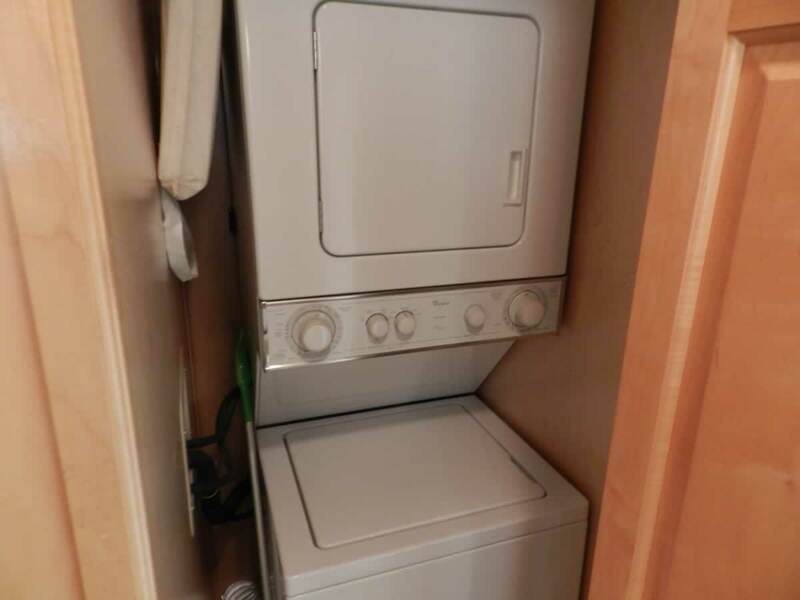 The washer/dryer is located to starboard. 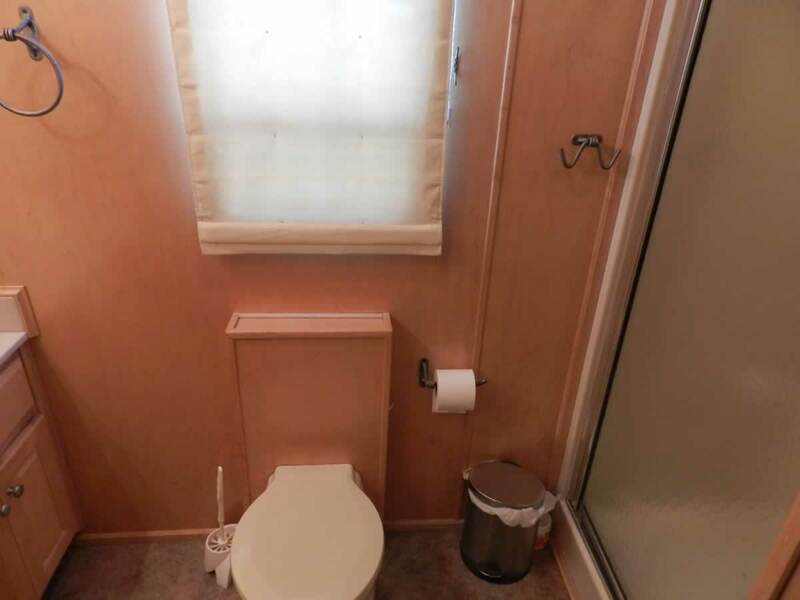 All the comforts and features of home. 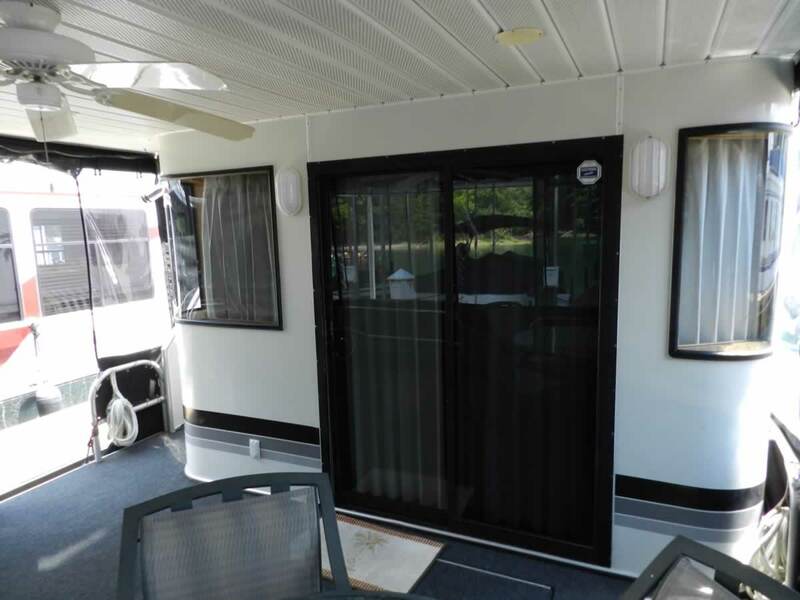 Step out the large sliding glass door to the aft deck. 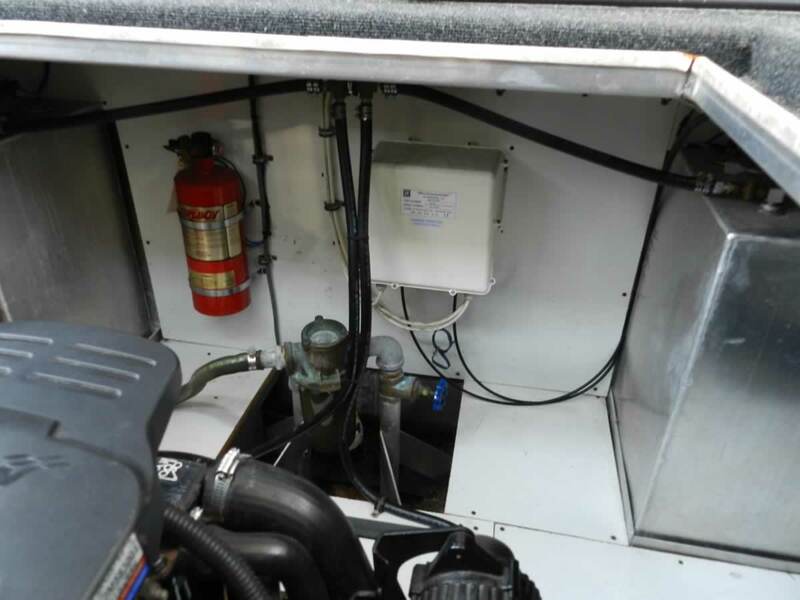 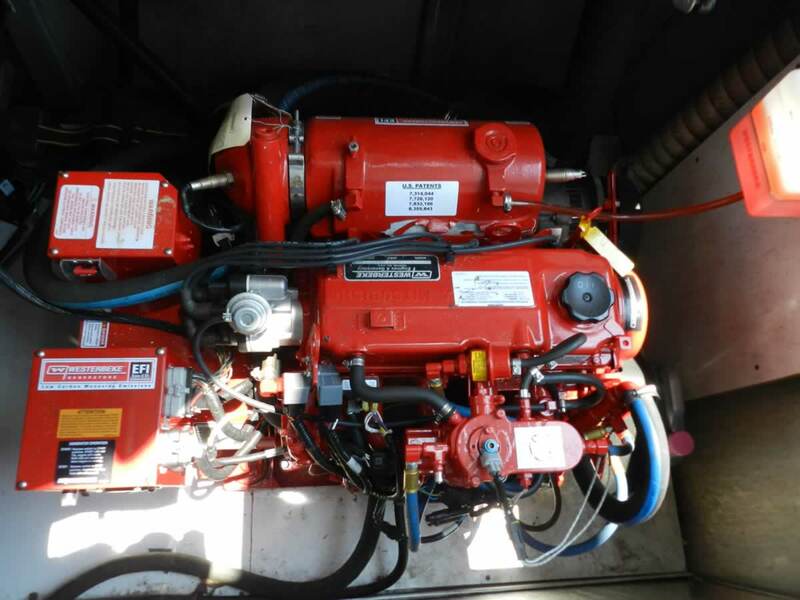 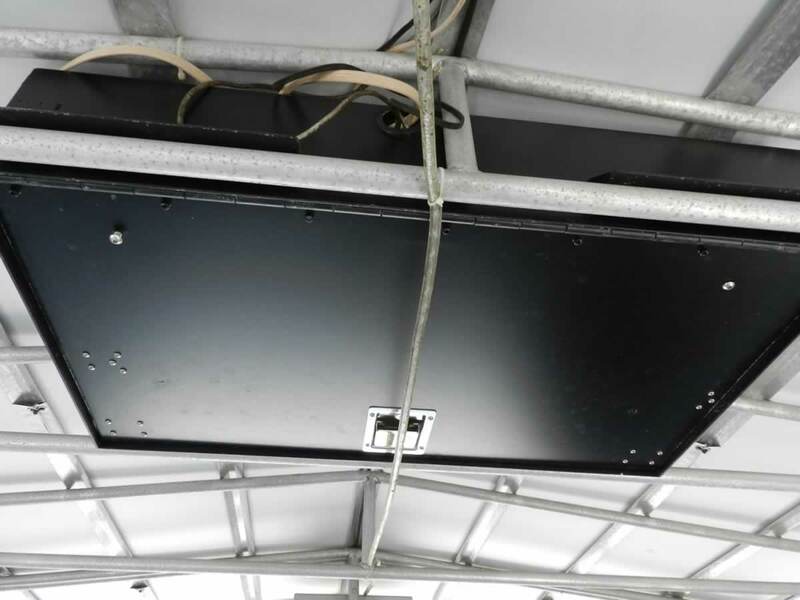 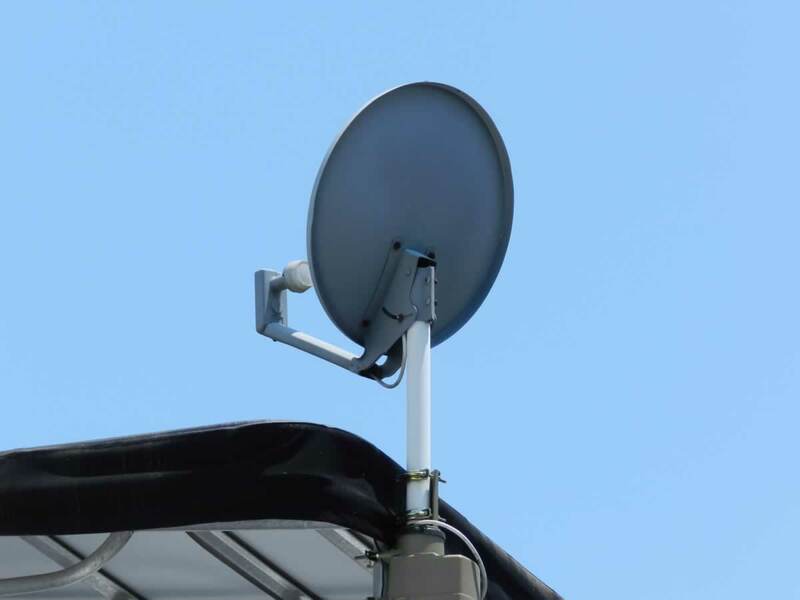 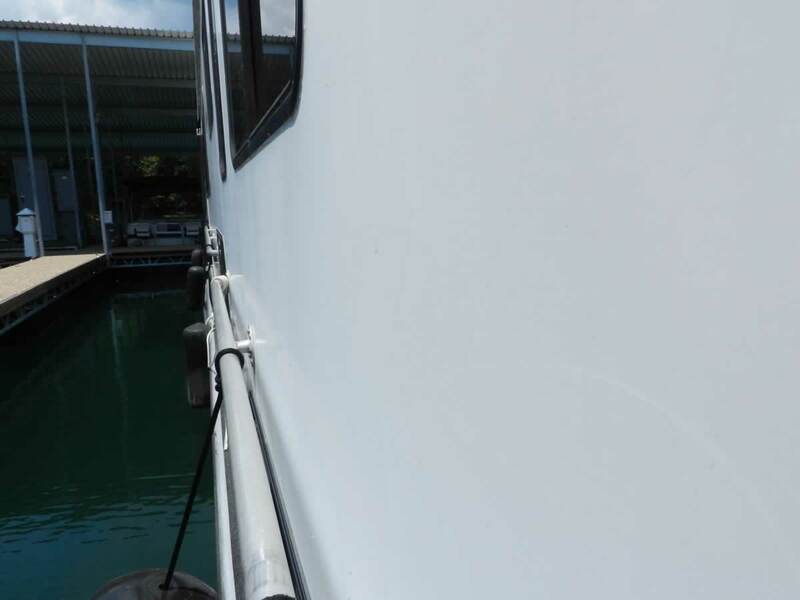 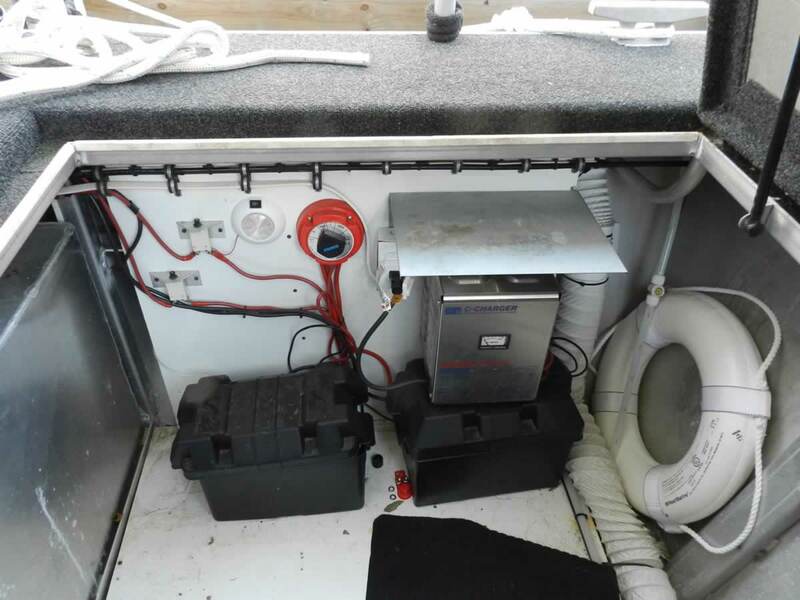 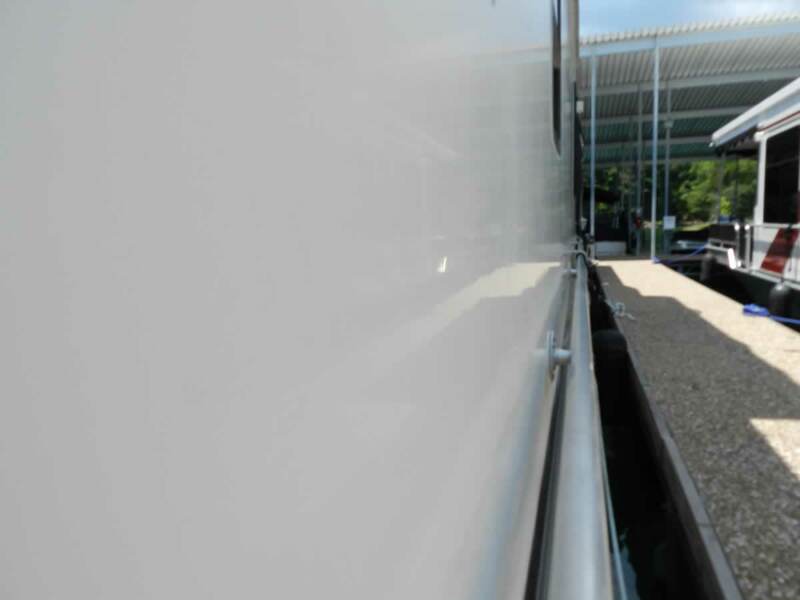 This area features 3 large hatches that give easy access to the generator and engine. 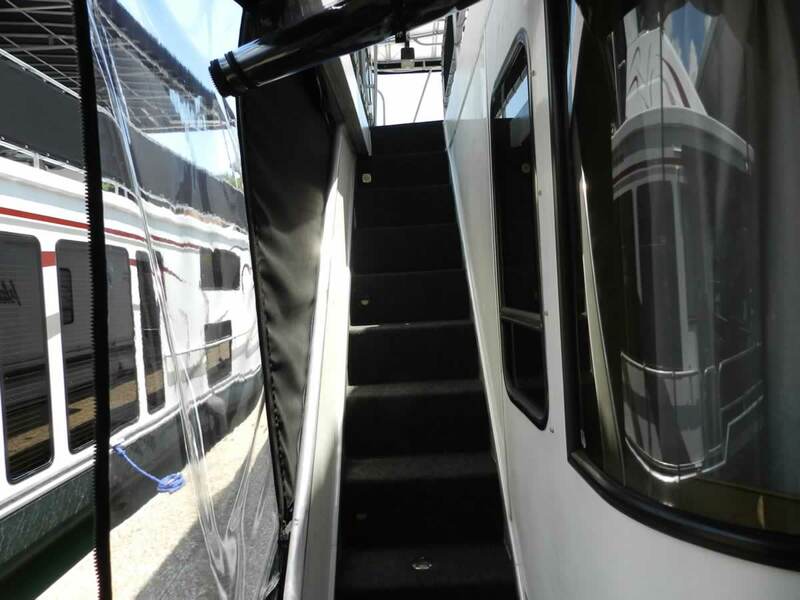 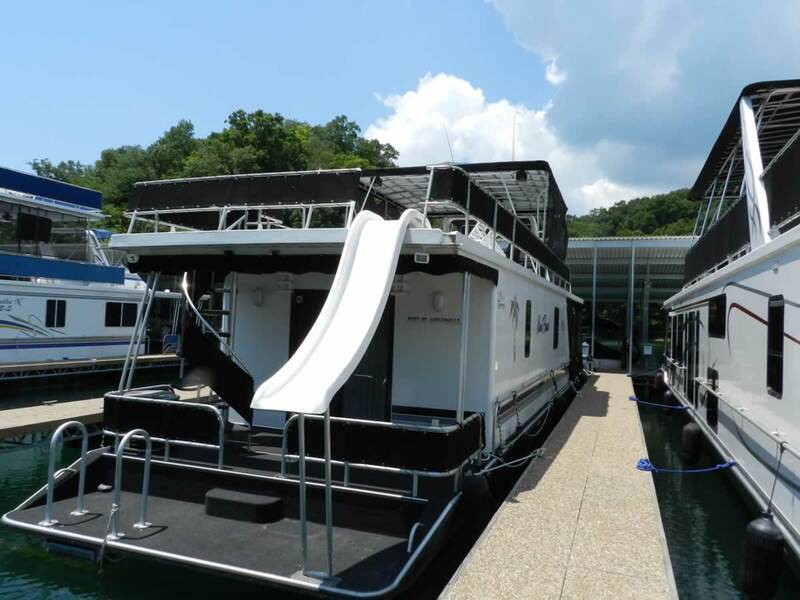 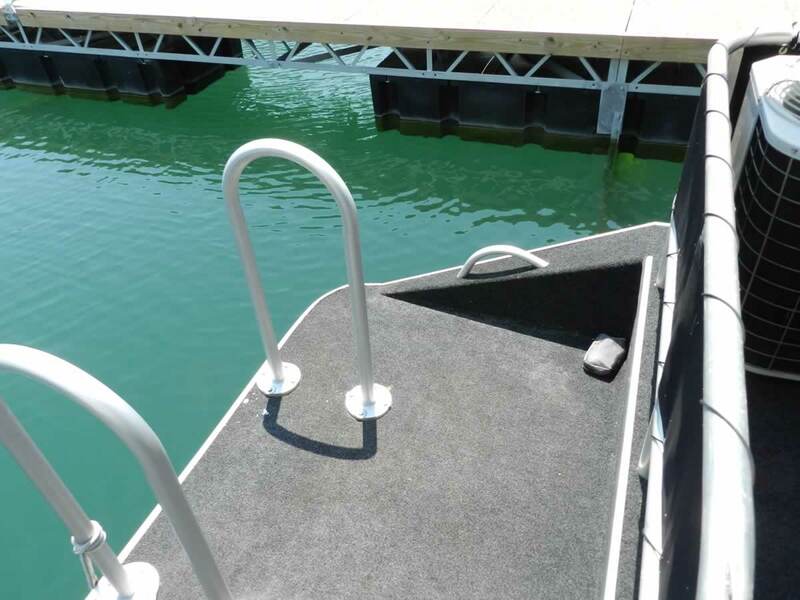 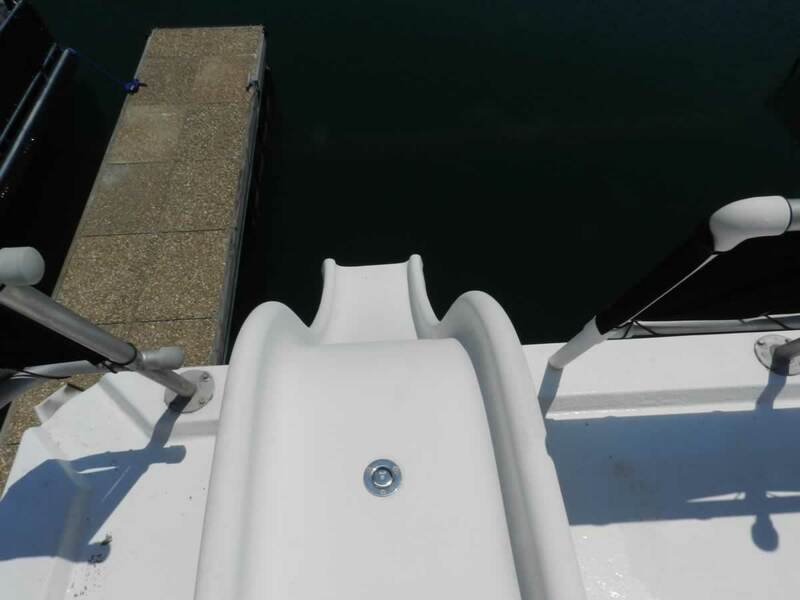 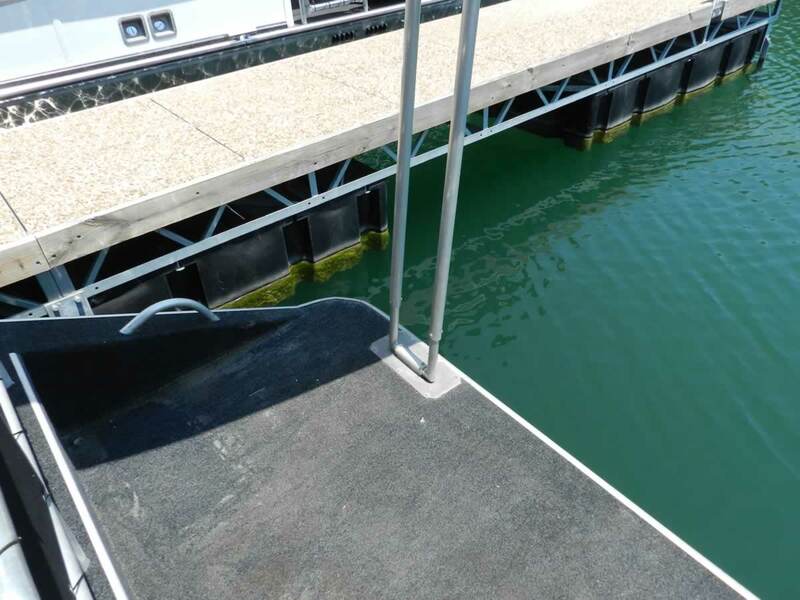 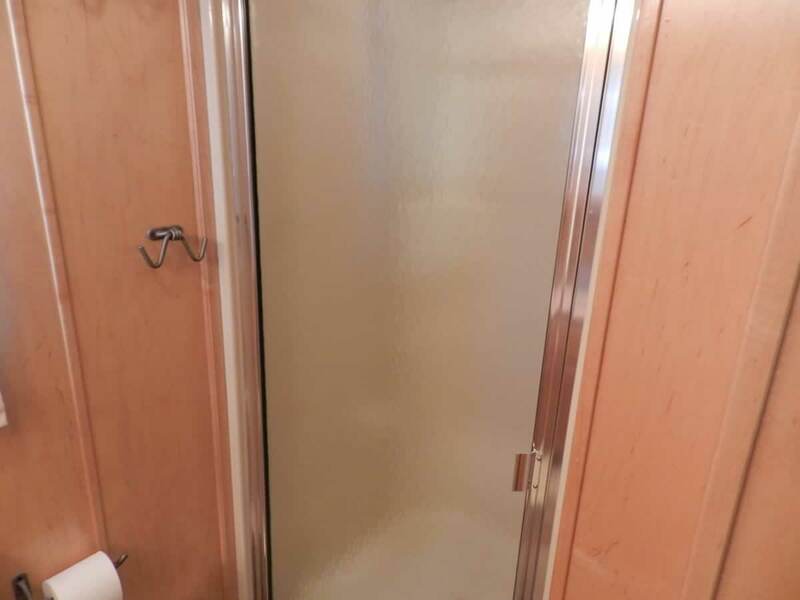 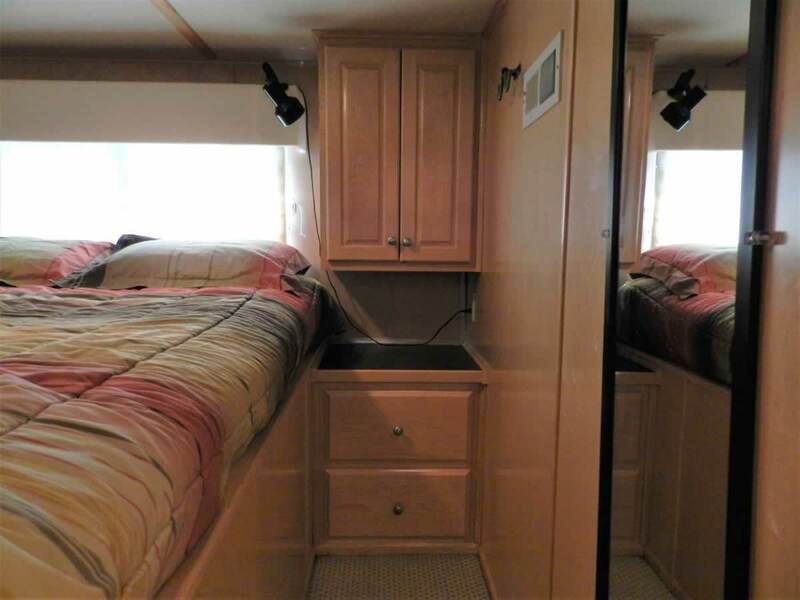 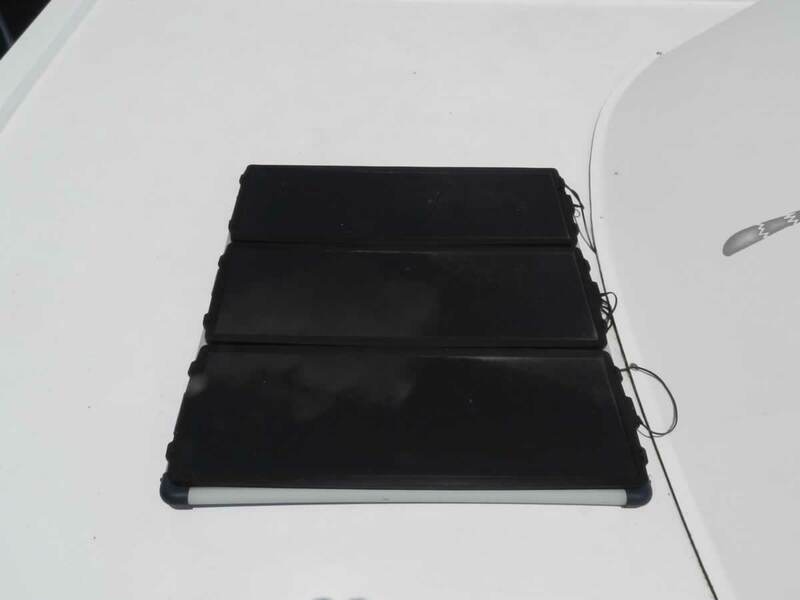 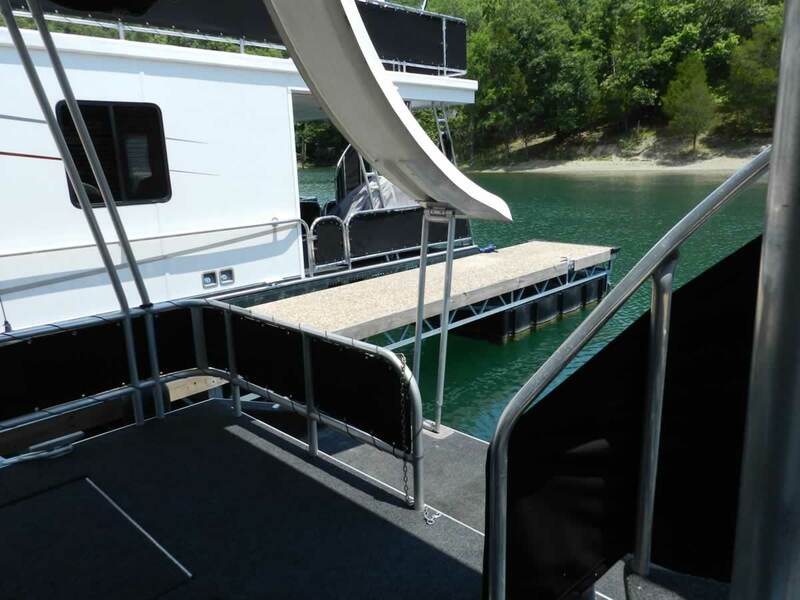 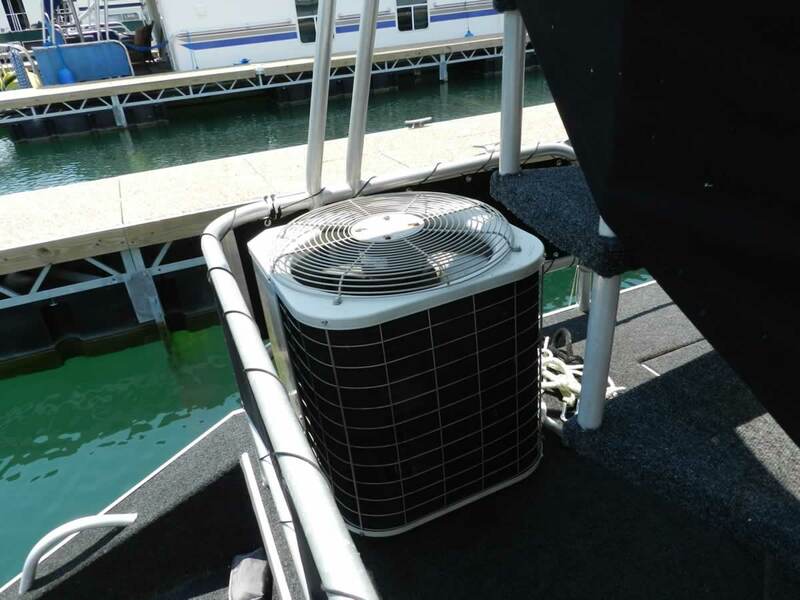 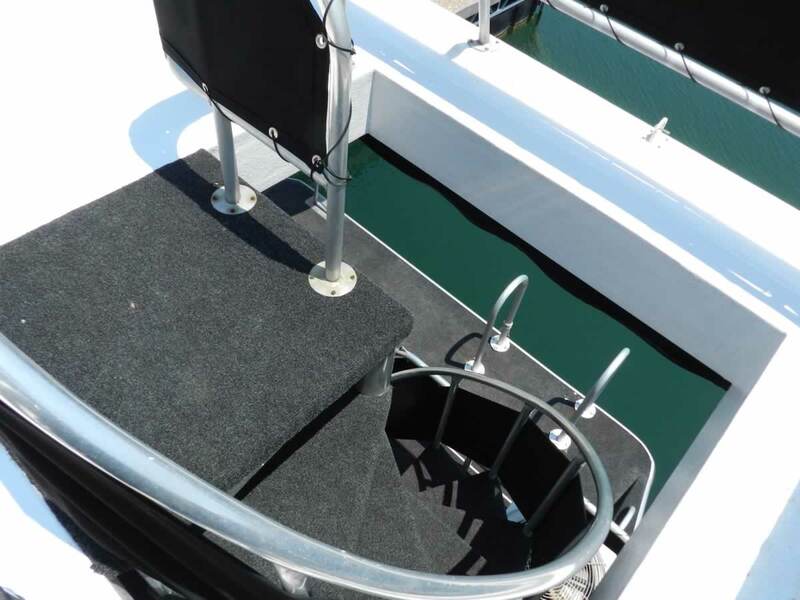 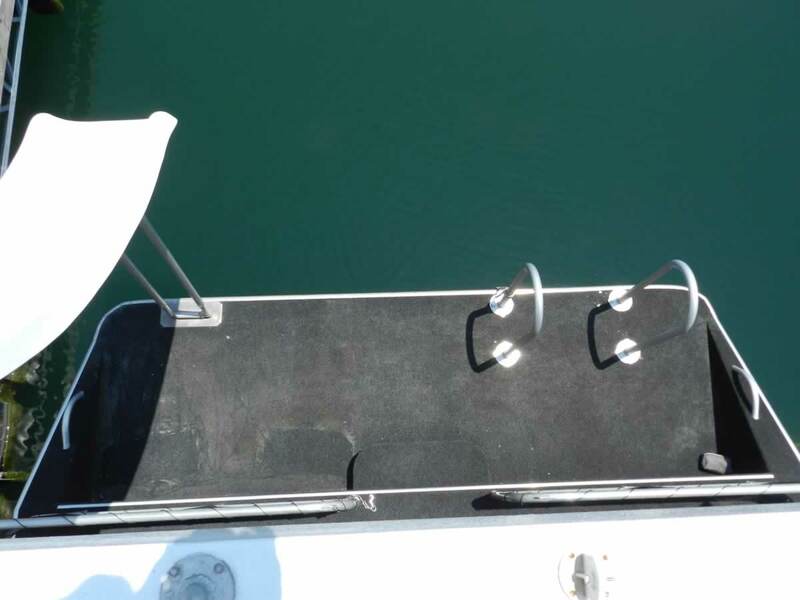 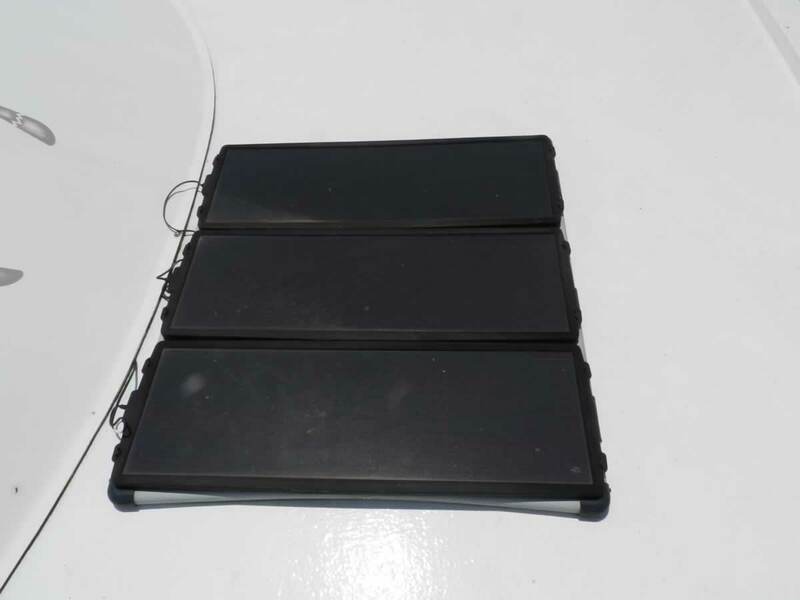 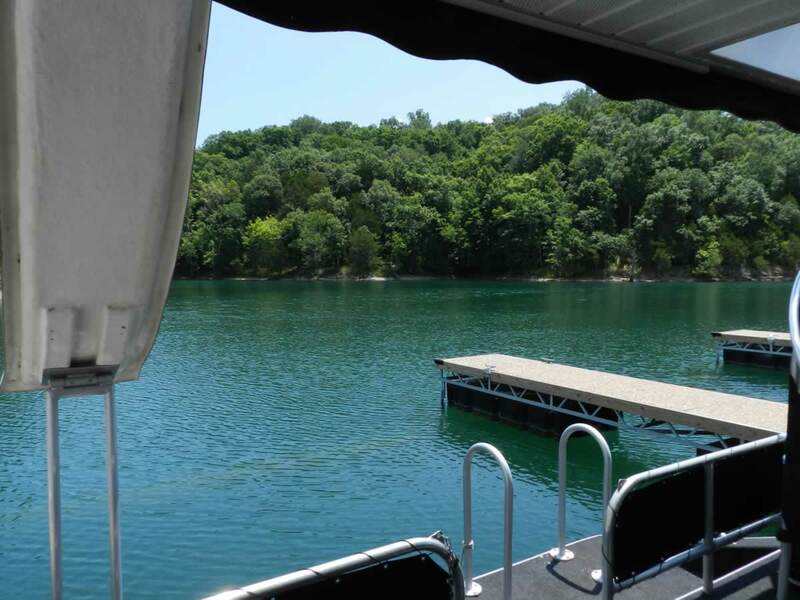 There is a 3’ platform and swim ladder along with steps leading to the top deck. 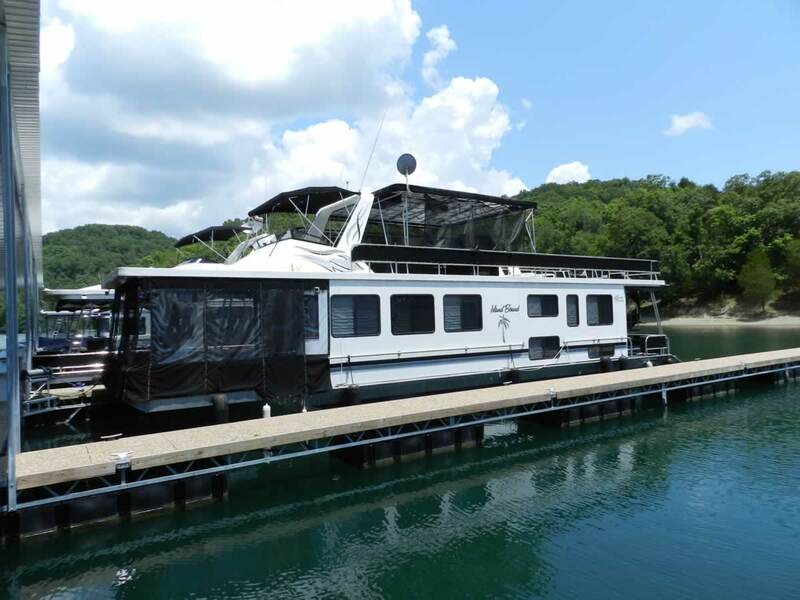 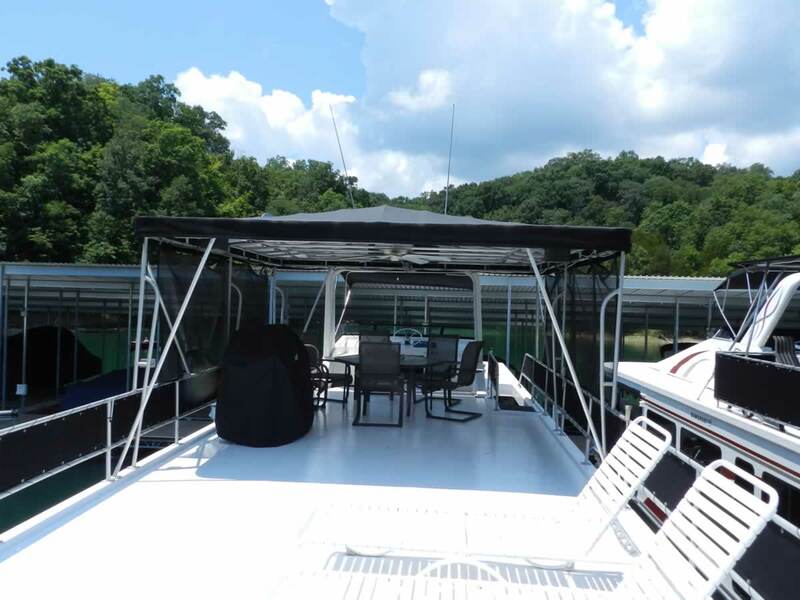 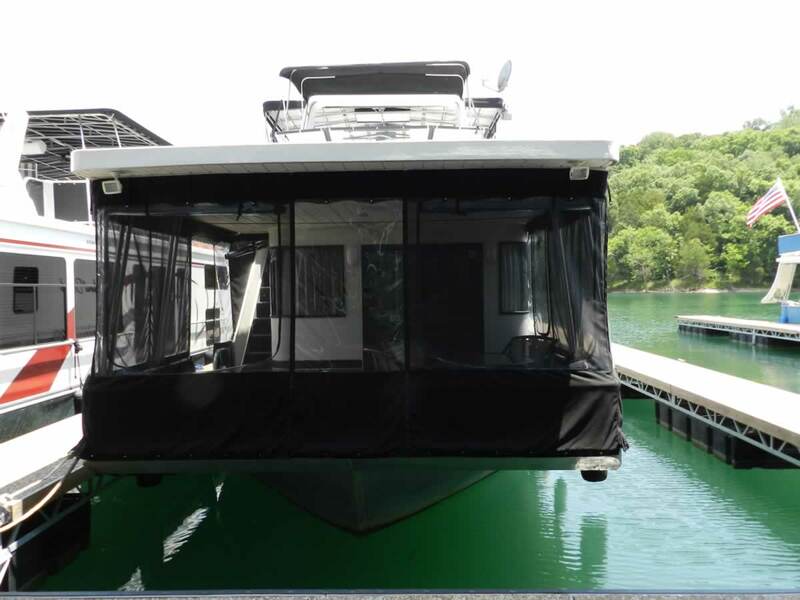 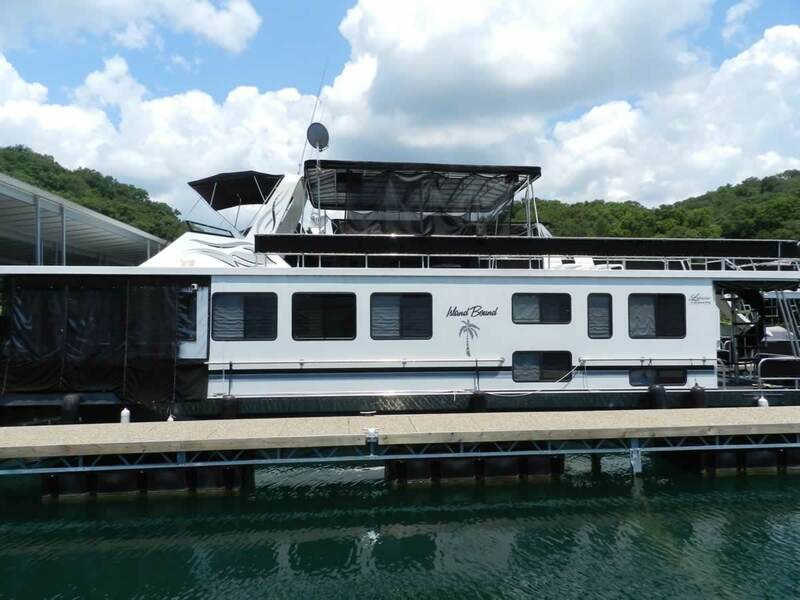 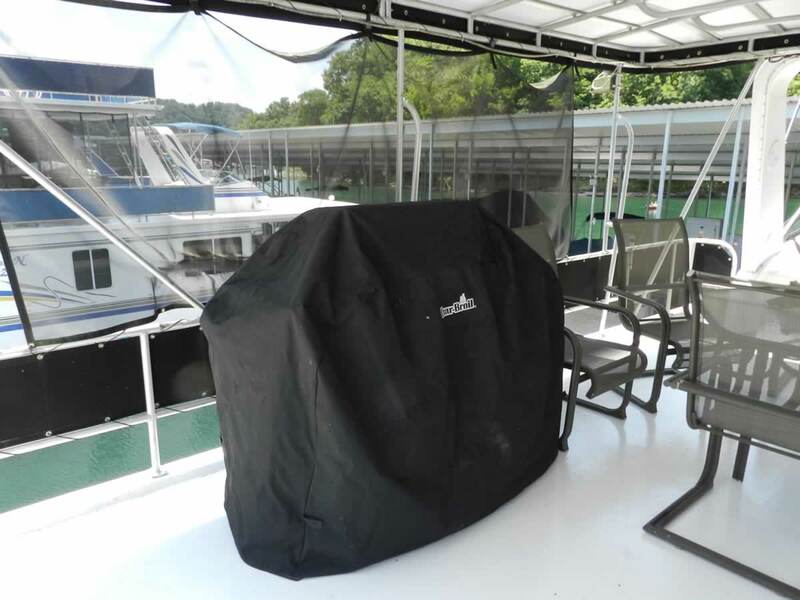 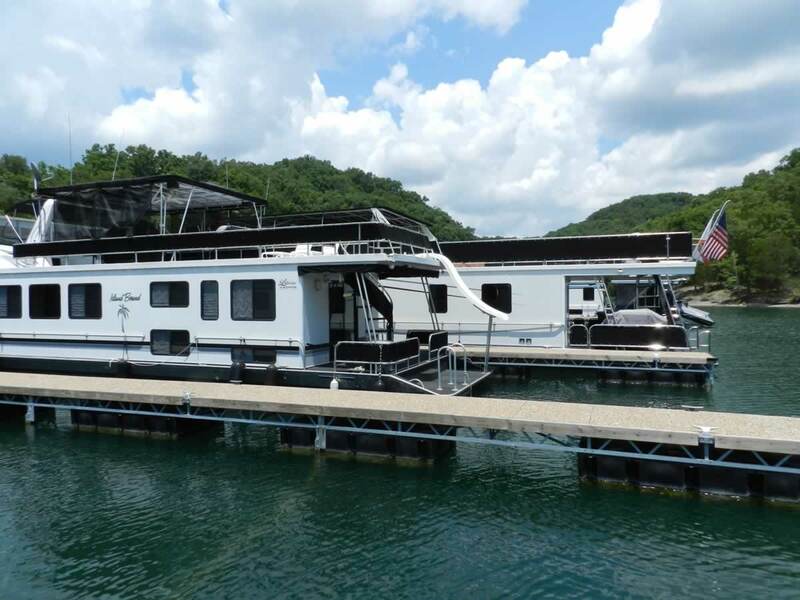 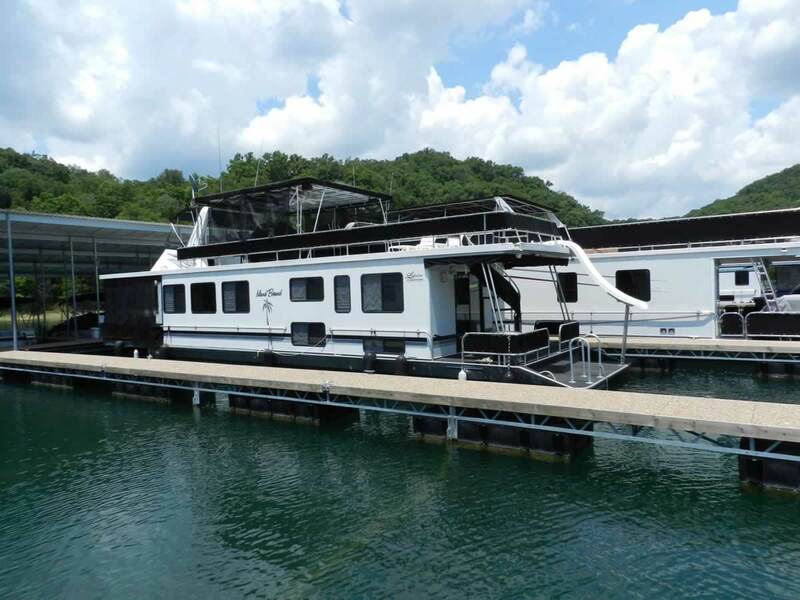 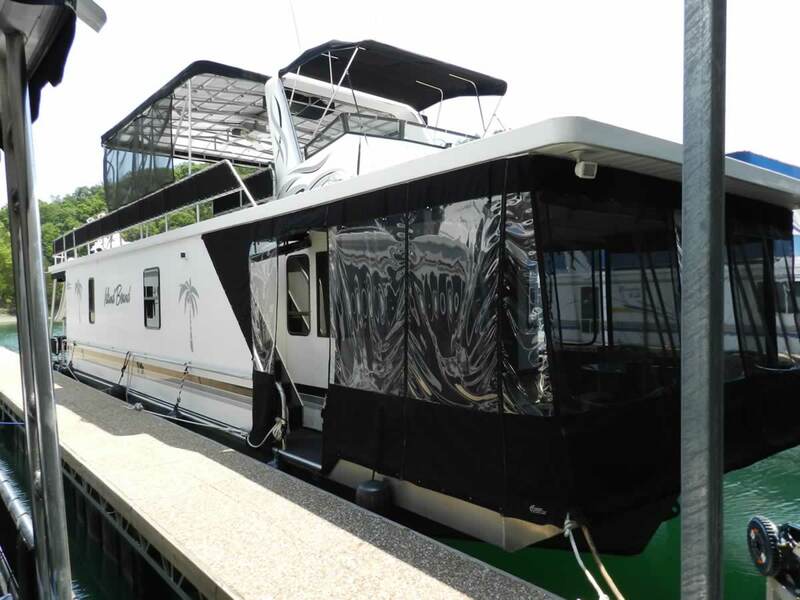 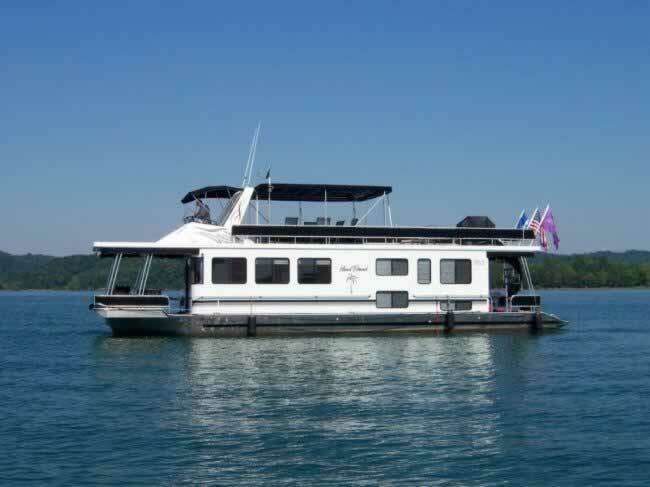 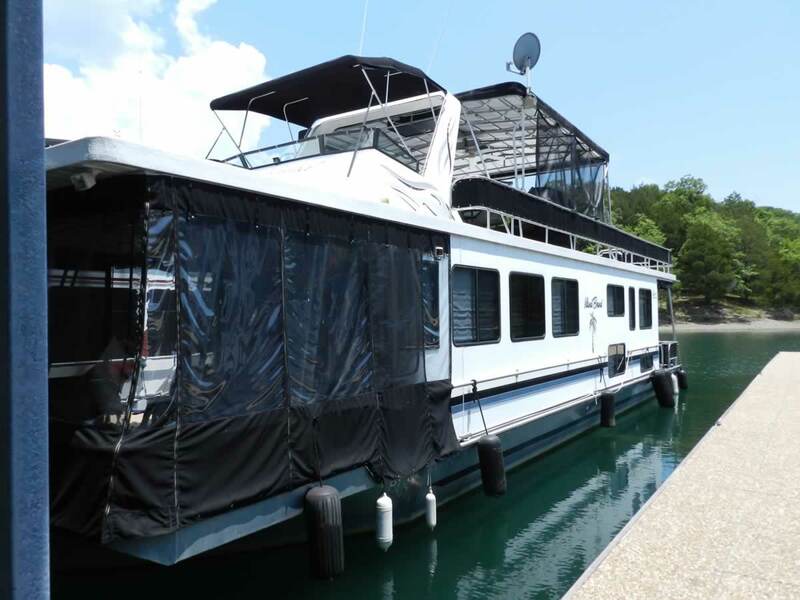 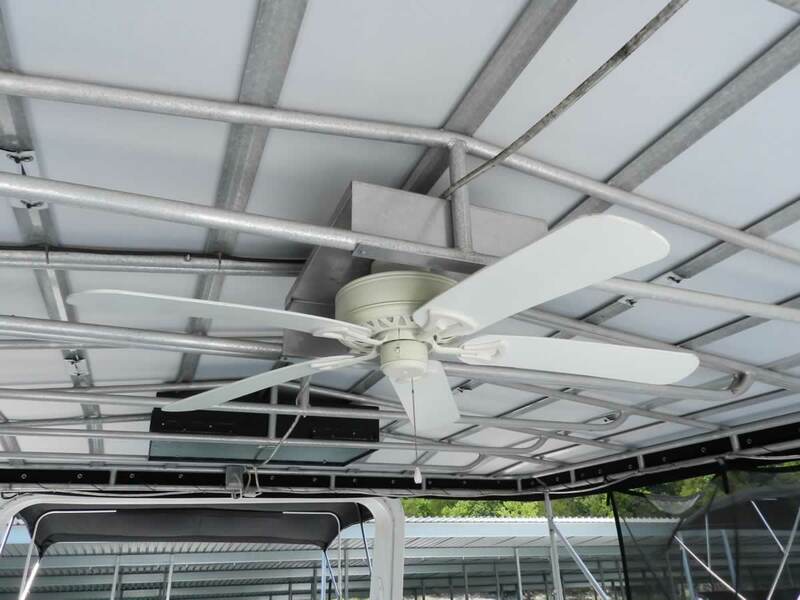 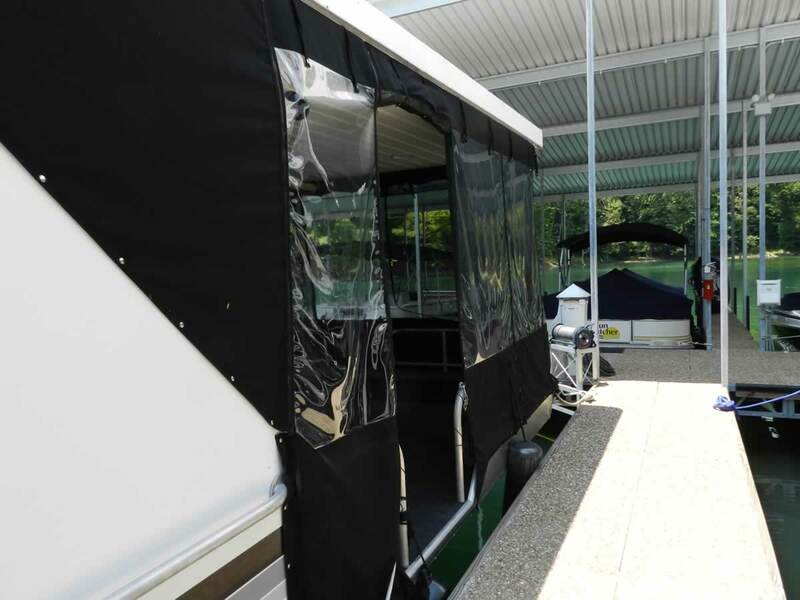 The top deck has a flybridge, 20’ canopy top, drop down TV box, table with seating for 4, a grill and slide. 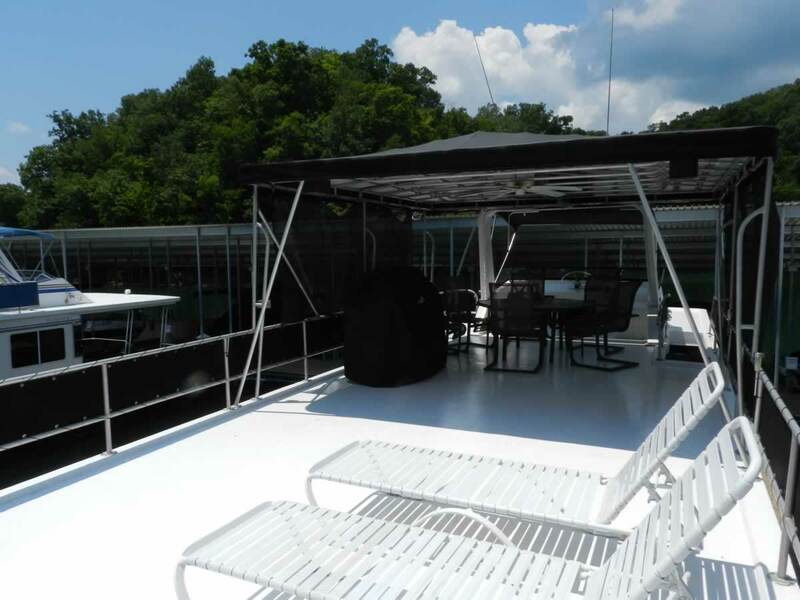 Plenty of room to enjoy the sun, to entertain family and friends, and to just relax. 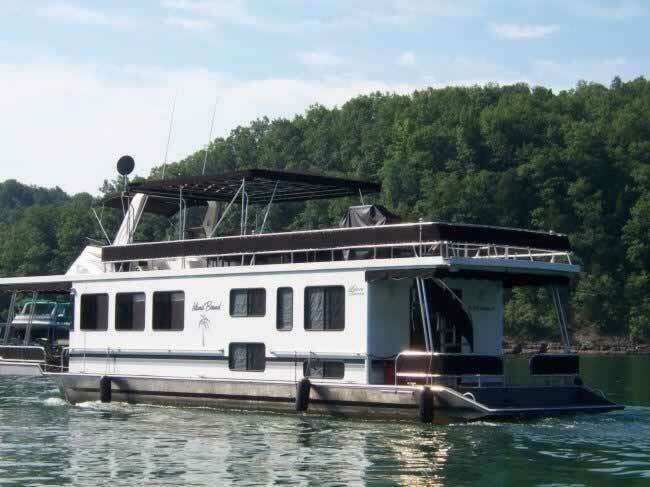 Call today and make an appointment to see this beautiful vessel!!! 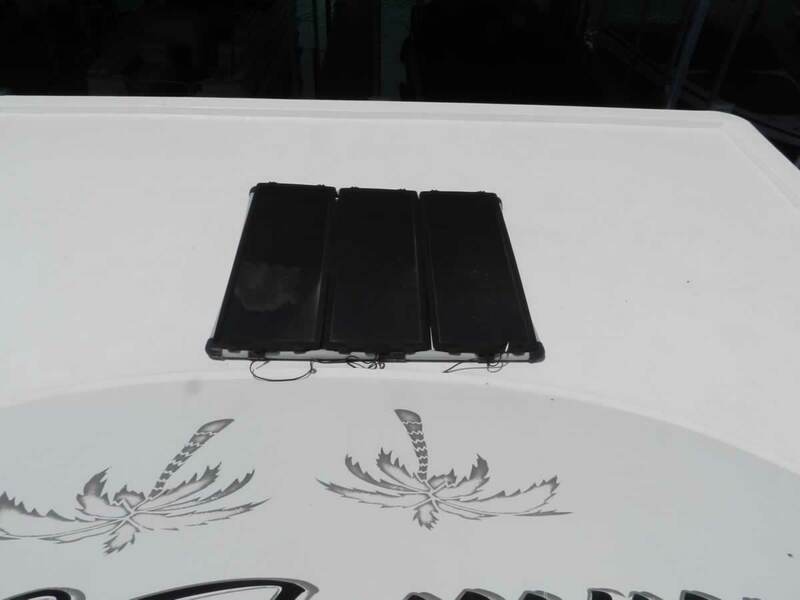 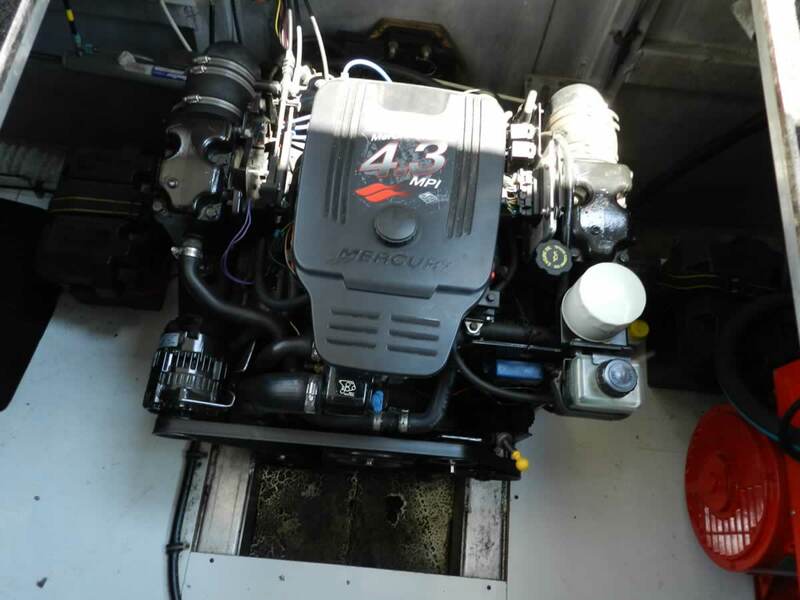 Â· Mercruiser 4.3 L Bravo II 366 hr.